Free fishing, classic comedy and a local history lesson are among the things to do this week in Maricopa. 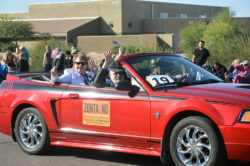 For details on these listings, or to add your own, visit InMaricopa.com/Calendar. “The ’49ers meet the Maricopa and Akimel O’Odham” presentation hosted by Maricopa Historical Society is at 5:30 p.m. at Maricopa Public Library, 41600 W. Smith-Enke Road. 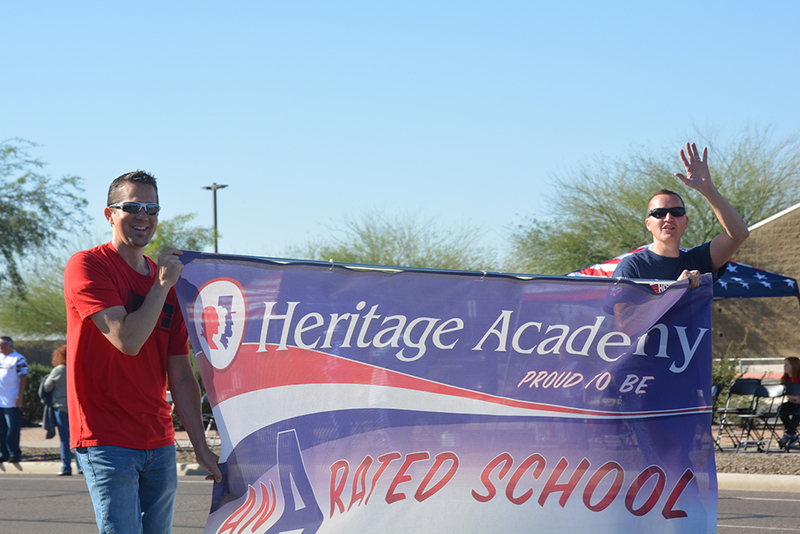 Heritage Academy Job Fair is at 5 p.m. at HomeSmart Success, 19756 N. John Wayne Parkway, Suite 100. 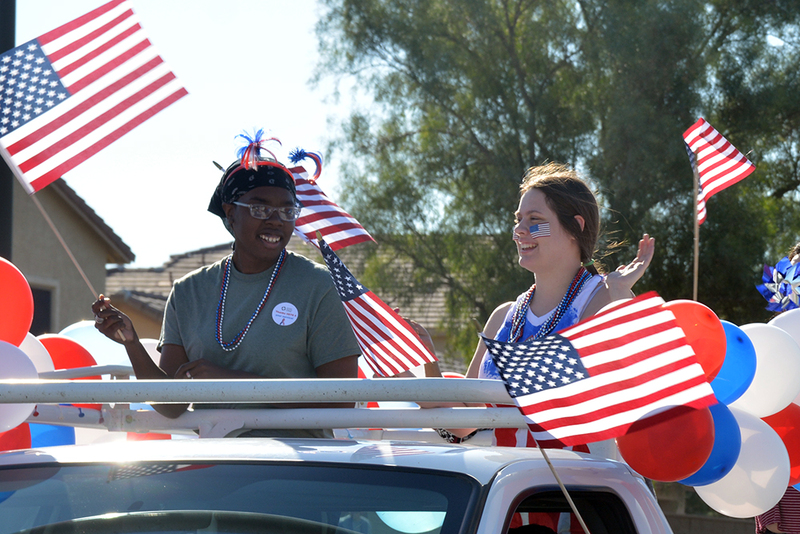 MHS Girls’ Soccer vs. Willow Canyon at 6 p.m. at Maricopa High School, 45012 W. Honeycutt Ave.
MHS Boys’ Basketball vs. Williams Field at 7 p.m. at Maricopa High School, 45012 W. Honeycutt Ave.
MEDA and City Council Joint Meeting is at 2 p.m. at Global Water, 22590 N. Powers Parkway. MUSD Governing Board Meeting is at 6:30 p.m. at Maricopa Unified School District Administration Building, 44150 W. Maricopa-Casa Grande Hwy. ‘The Good Doctor’ by Neil Simon is performed by Maricopa Community Theatre at 7 p.m. at Leading Edge Academy, 18700 N. Porter Road. MHS Boys’ Basketball vs. North Canyon at 7 p.m. at Maricopa High School, 45012 W. Honeycutt Ave.
Chamber of Commerce Breakfast is at 7 a.m. at Central Arizona College – Maricopa Campus, 17945 N. Regent Drive. 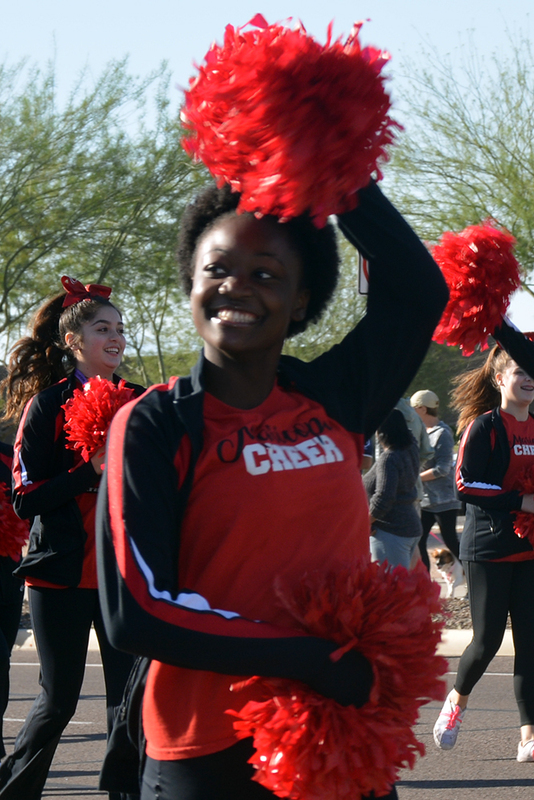 A+ Charter Schools Open House is at 6 p.m. at Leading Edge Academy, 18700 N. Porter Road. 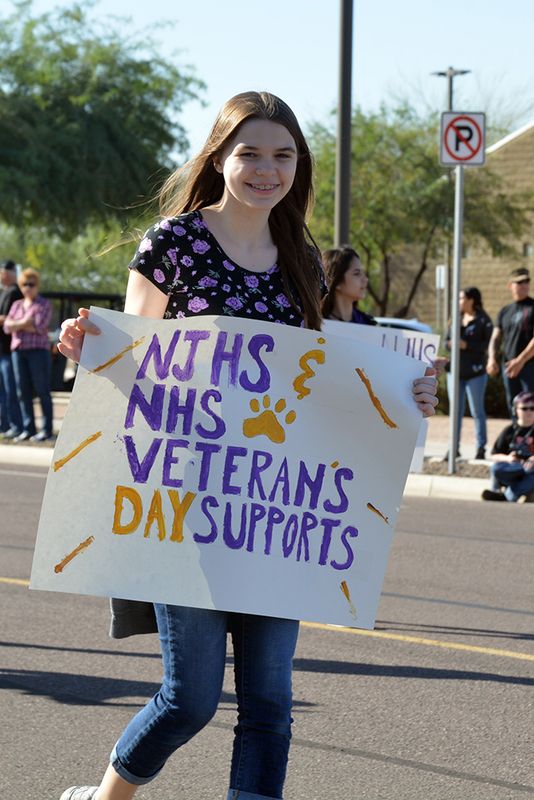 MHS Girls’ Soccer vs. Paradise Valley at 6 p.m. at Maricopa High School, 45012 W. Honeycutt Ave.
MHS Boys’ Basketball vs. Higley at 7 p.m. at Maricopa High School, 45012 W. Honeycutt Ave.
‘The Good Doctor’ by Neil Simon is performed by Maricopa Community Theatre at 2 p.m. and 7 p.m. at Leading Edge Academy, 18700 N. Porter Road. 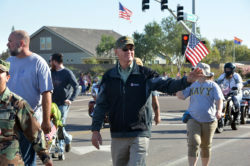 The Christmas holiday keeps community activities limited this week. For details on these and other listings, or to add your own, visit InMaricopa.com/Calendar. Christmas Eve Service is at 7 p.m. at Maricopa Community Church, 44977 W. Hathaway Ave. Seniors play Farkle at 9 a.m. at Santa Cruz Elementary School, 19845 N. Costa del Sol Blvd. 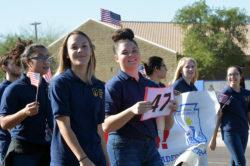 Important meetings, a job fair for a prospective charter school and, of course, Santa Claus are part of this week’s activities in Maricopa. 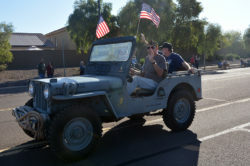 For details on these and other listings, or to add your own, visit InMaricopa.com/Calendar. 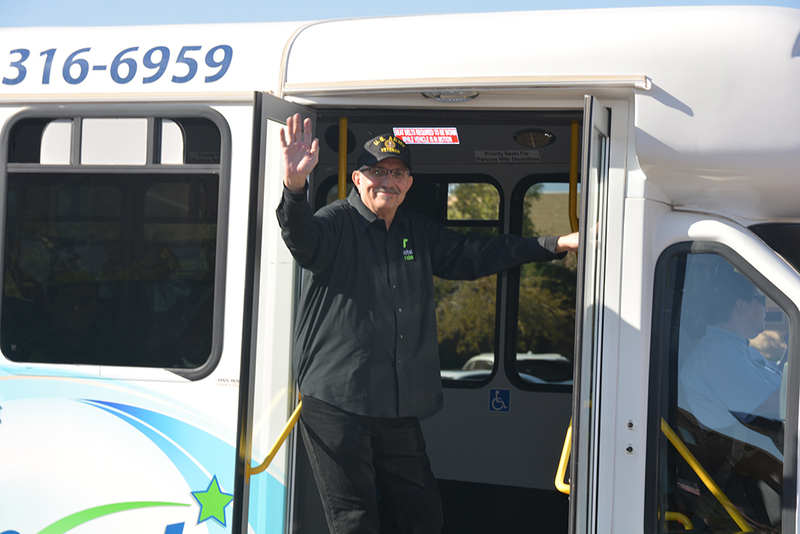 Age-Friendly Maricopa Advisory Committee meets at 4 p.m. at City Hall, 39700 W. Civic Center Plaza. 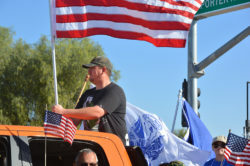 MUSD Governing Board Special Meeting is at 5 p.m. at Maricopa Unified School District Administration Building, 44150 W. Maricopa-Casa Grande Hwy. Breakfast for Dinner with Santa is at 6 p.m. for students of Saddleback Elementary School, 18600 N. Porter Road. 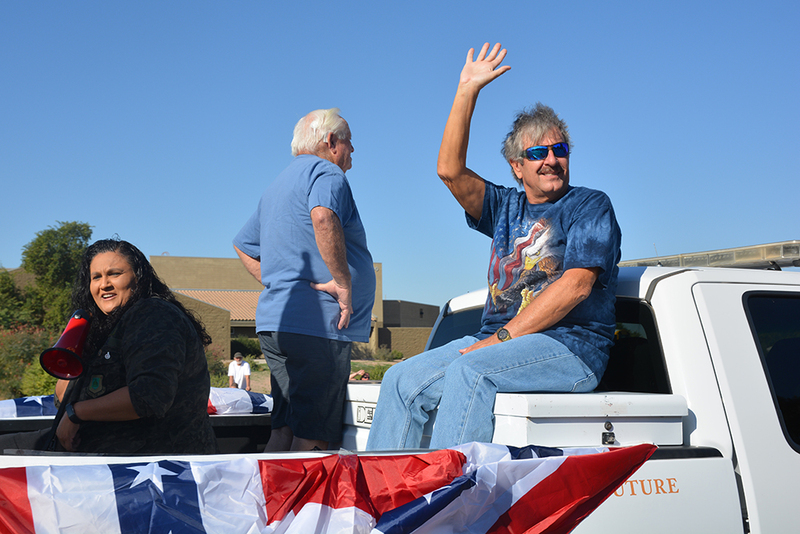 City Council Regular Meeting is at 7 p.m. at City Hall, 39700 W. Civic Center Plaza. 8-Bits video gaming is at 4 p.m. at Maricopa Public Library, 41600 W. Smith-Enke Road. Santa at Maricopa South Pole is 6-9 p.m. at Maricopa Santa, 44267 W. Cypress Lane. 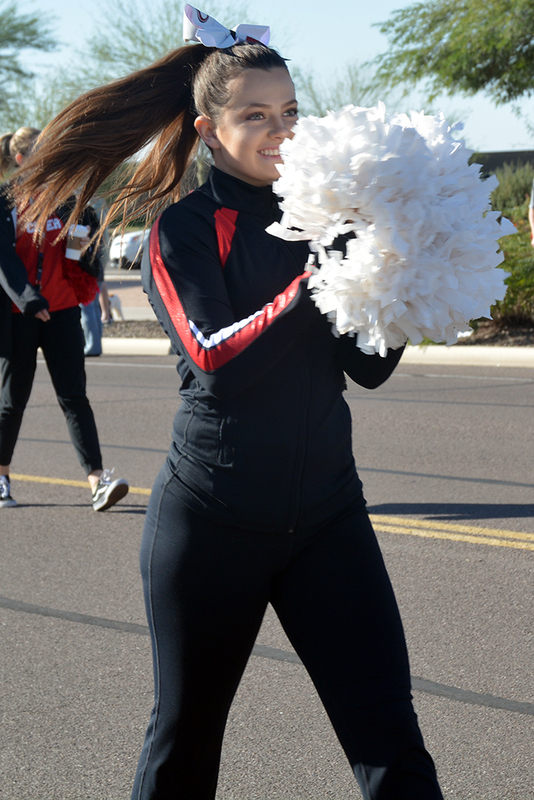 Santa Run & Ugly Sweater Run are at 8 a.m. at Copper Sky Regional Park, 55345 W. Martin Luther King Jr. Blvd. 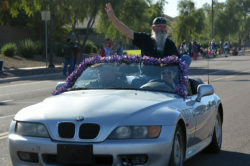 Santa at Maricopa South Pole is 6-8 p.m. at Maricopa Santa, 44267 W. Cypress Lane. 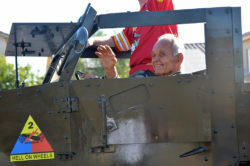 Masik Tas acitivities, including a Gin Blossoms concert and a carnival, comprise much of this week’s family activities. 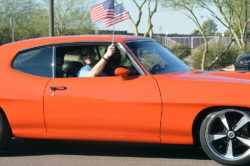 For details on these and other listings, or to add your own, visit InMaricopa.com/Calendar. 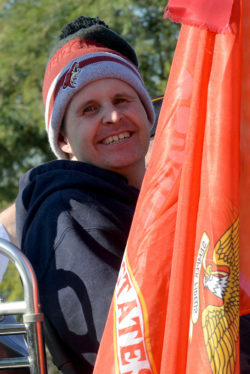 Masik Tas Golf Tournament is at 10 a.m. at Ak-Chin Southern Dunes, 48456 W. Hwy. 238. Celebrate Recovery Coffee & Karaoke is at 7 p.m. at Maricopa Community Church, 44977 W. Hathaway Ave.
Masik Tas Carnival is 4-10:30 p.m. at UltraStar Multi-tainment Center, 16000 N. Maricopa Road. Gin Blossoms play for Masik Tas at UltraStar Multi-tainment Center, 16000 N. Maricopa Road, and gates open at 6 p.m. 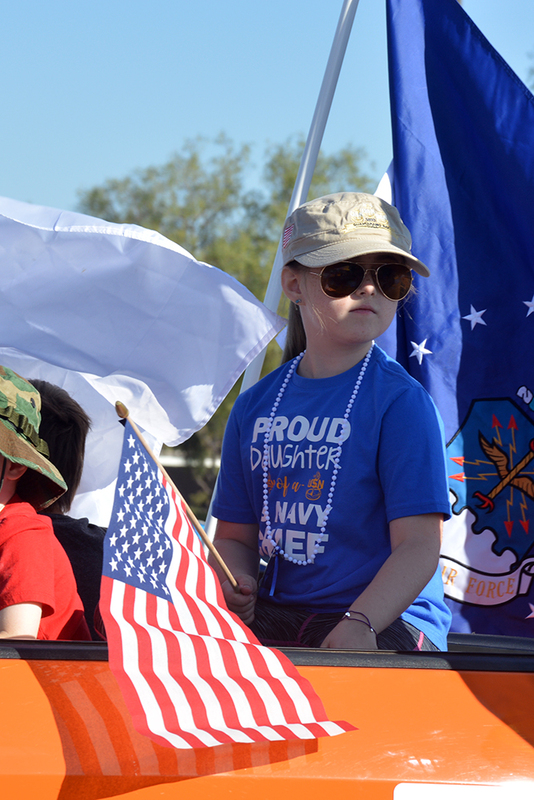 Junior Rodeo & Bull Bash is at 9 a.m. at Ak-Chin Rodeo Arena, Narcia Street, behind UltraStar. 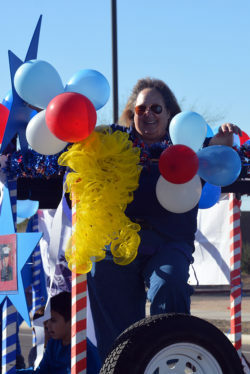 Masik Tas Carnival is 10 a.m.-10:30 p.m. at UltraStar Multi-tainment Center, 16000 N. Maricopa Road. Two Rivers plays at 10 p.m. at Luxe Lounge @ UltraStar Multi-tainment Center, 16000 N. Maricopa Road. 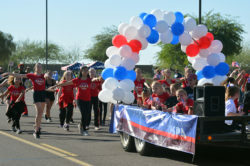 Masik Tas Carnival is noon-7 p.m. at UltraStar Multi-tainment Center, 16000 N. Maricopa Road. Learn about an important part of Apache history, watch the swearing in of new councilmembers, join a parade of lights or sing Hallelujah with the chorus – there is a lot to do this week in Maricopa. 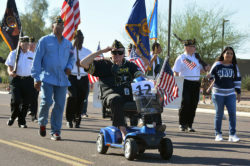 For detail on these and other events, or to add your own, visit InMaricopa.com/Calendar. 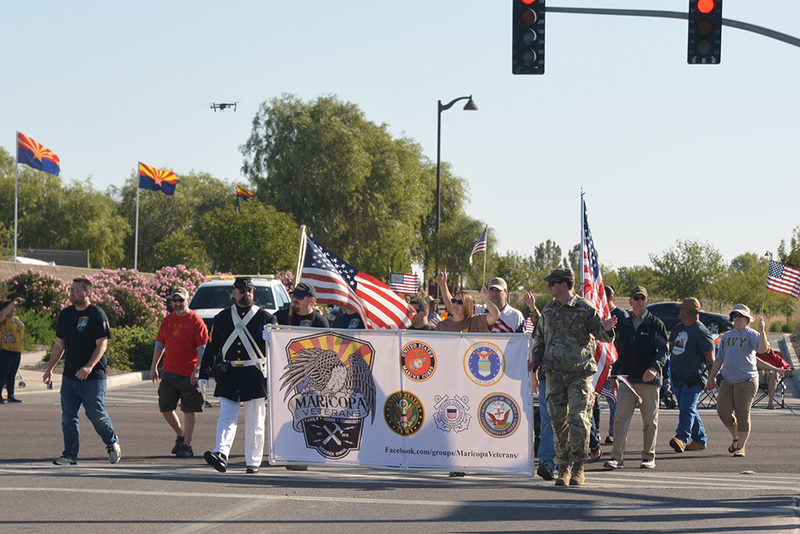 The Apache Wars: Maricopa Historical Society Lecture Series with Doug Hocking is at 5:30 p.m. at Maricopa Public Library, 41600 W. Smith-Enke Road. 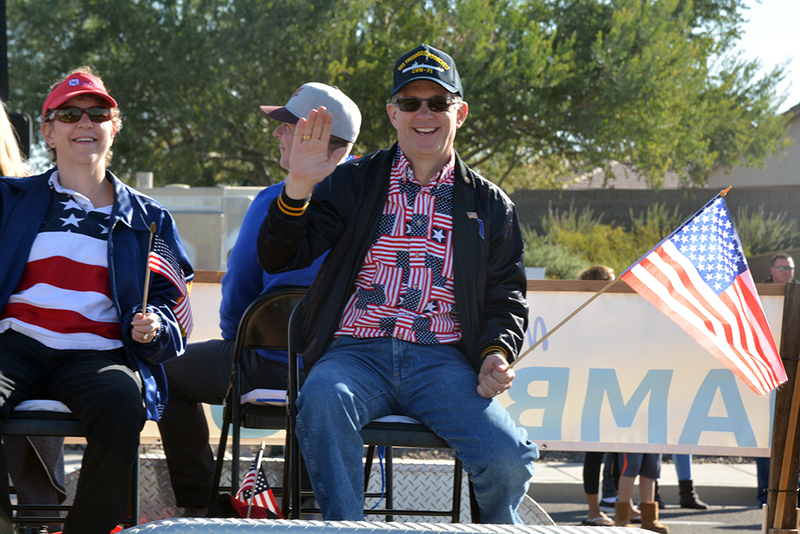 City Council Regular Session and swearing-in is at 7 p.m. at Maricopa City Hall, 39700 W. Civic Center Plaza. 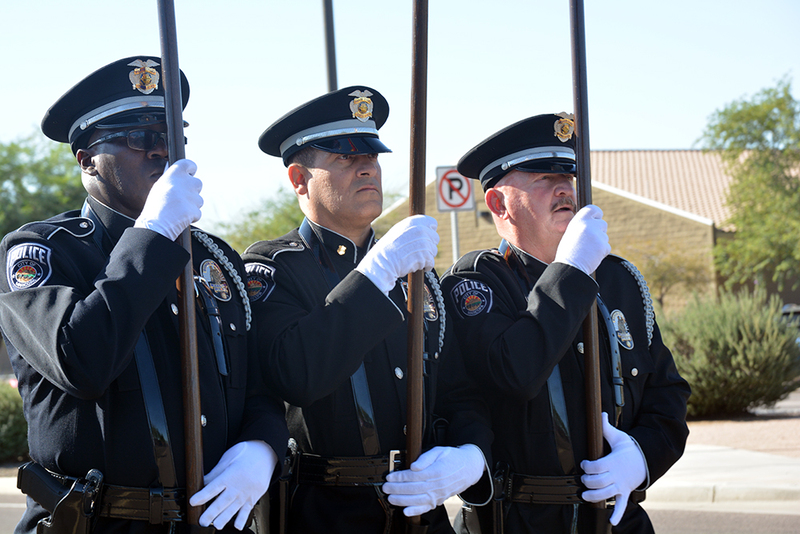 Pass in Review concert is at 7 p.m. at Maricopa Performing Arts Center, 45012 W. Honeycutt Ave.
Maricopa Police Explorer Post Meeting meets at 5 p.m. at Maricopa High School, 45012 W. Honeycutt Ave.
2nd Saturday Maricopa Market is at 8 a.m. at Sequoia Pathway Academy, 19265 N. Porter Road. Ride for Toys, with Maricopa Fire/Medical Department, is 10 a.m.-2 p.m.at Copper Sky Regional Park, 55345 W. Martin Luther King Jr. Blvd. 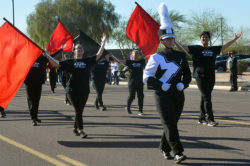 Sugar Plum Tea, hosted by DSPA Gems, is at 2 p.m. at Maricopa High School Performing Arts Center, 45012 W. Honeycutt Ave. 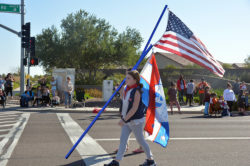 Living Nativity Maricopa is 5-8 p.m. at Community of Hope Church, 45295 W Honeycutt Ave.
Creche Festival: Nativities from around the World is 5-8 p.m. at the Church of Jesus Christ of Latter-day Saints, 45235 W. Honeycutt Ave.
Masik Tas Light Parade starts at 7 p.m. through the Ak-Chin community on West Farrell Road. 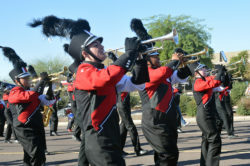 Grand Winter Holiday Concert is at 7:30 p.m. at Maricopa Agricultural Center, 37860 W. Smith-Enke Road. 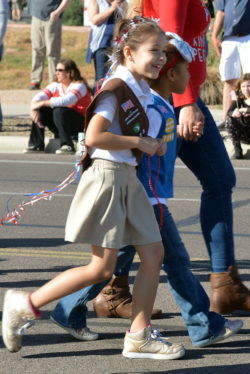 Holiday Homes on Parade begins and runs through Dec. 18 at participating homes throughout Maricopa. 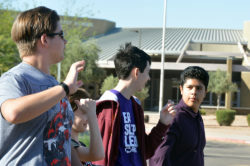 Handbell Choir performs at 4 p.m. at Central Arizona College – Maricopa Campus, 17945 N. Regent Drive. A studio crawl, arts and crafts and a free Farm Day are all part of this week’s activities. 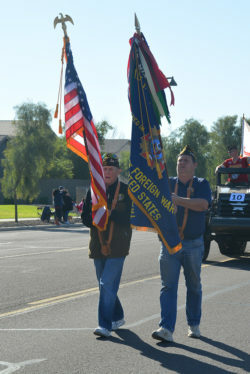 For details on these and other events, or to add your own, visit InMaricopa.com/Calendar. Maricopa Family Fishing Day registration opens at 7 a.m. for the January event. MUSD Governing Board Meeting is at 6:30 p.m. at Maricopa Unified School District, 44150 W. Maricopa-Casa Grande Hwy. Fall Fling Craft and Vendor Event is 8 a.m.-4 p.m. at Maricopa Community Church, 44977 W. Hathaway Ave. Province Community Garage Sale starts at 9 a.m. at various locations. Wobble Before You Gobble 9-11:30 a.m. at Copper Sky Multigenerational Center, 44345 W. Martin Luther King Jr. Blvd. 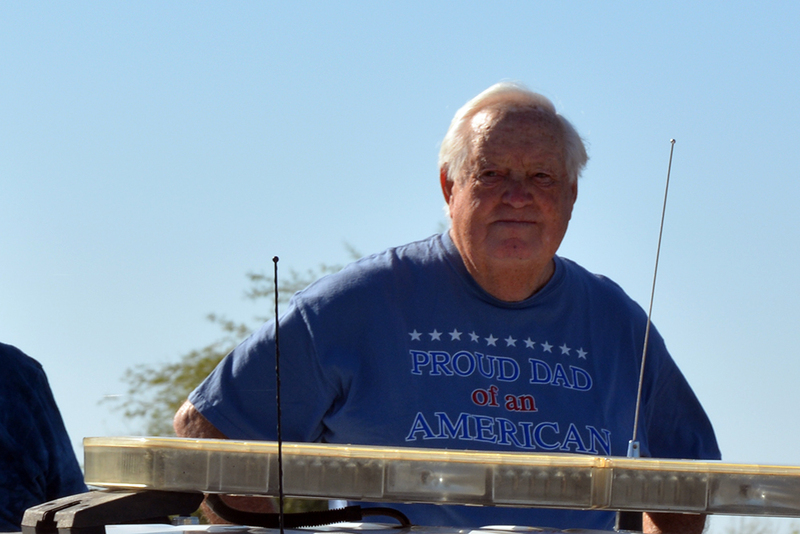 Family Farm Day is 10 a.m.-2 p.m. at Maricopa Agricultural Center, 37860 W. Smith-Enke Road. 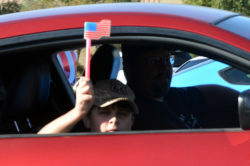 Santa Rosa Fall Festival is at 2 p.m. at Santa Rosa Elementary School, 21400 N. Santa Rosa Drive. Artists’ Studio Crawl is 10 a.m.-2 p.m. at various locations. Artists’ Studio Crawl is noon to 4 p.m. at various locations. 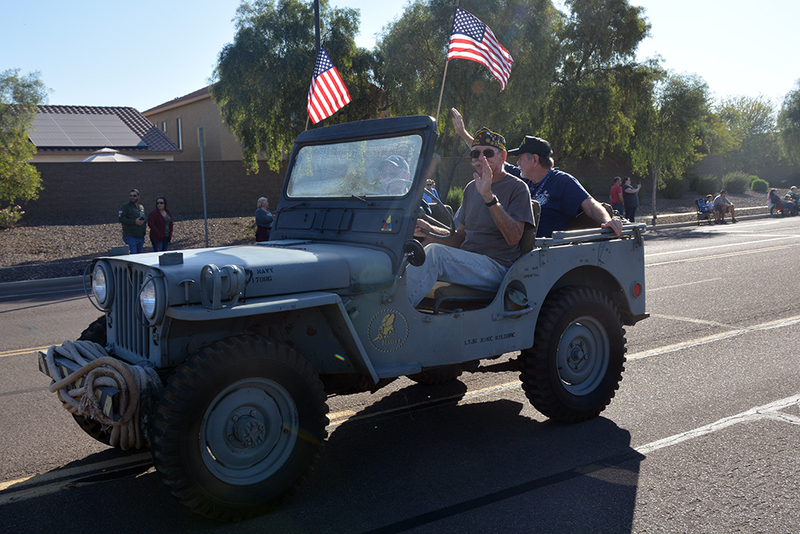 Maricopa’s second Veterans Day Parade drew a crowd along Bowlin and Porter Roads to honor its many military veterans. 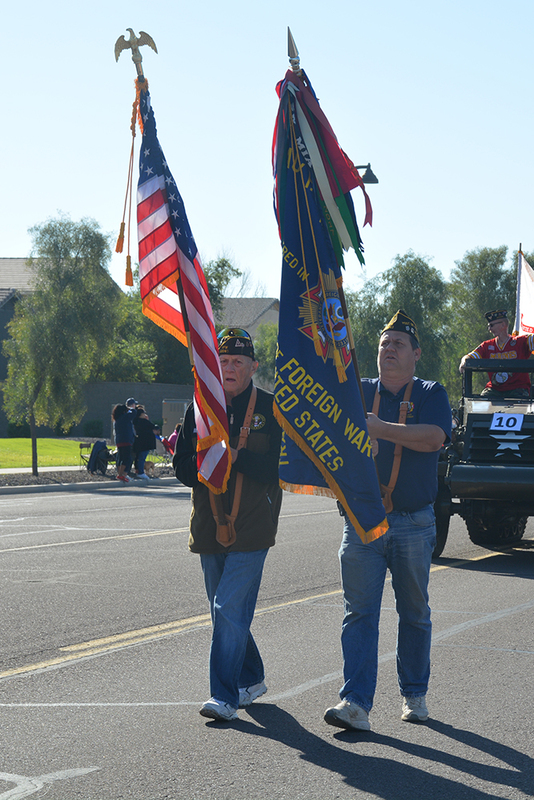 The hour-long parade included veteran groups, school organizations and other clubs thanking those who served and showing their patriotic colors. 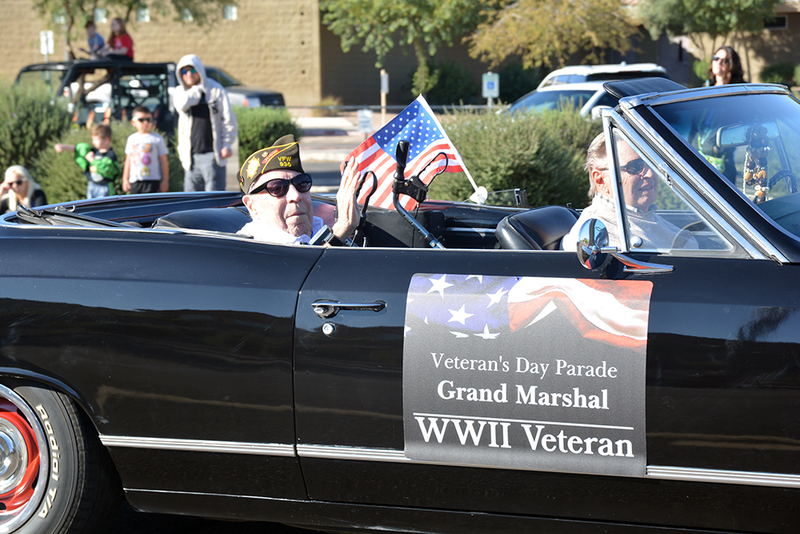 The annual Maricopa photo contest, a special documentary screening, a book sale and fly-in are all part of the many activities this week in Maricopa. For details on these events, or to add your own, visit InMaricopa.com/Calendar. Shutter Shots Photo Contest is midnight to midnight all over town to celebrate the anniversary of the city’s incorporation. 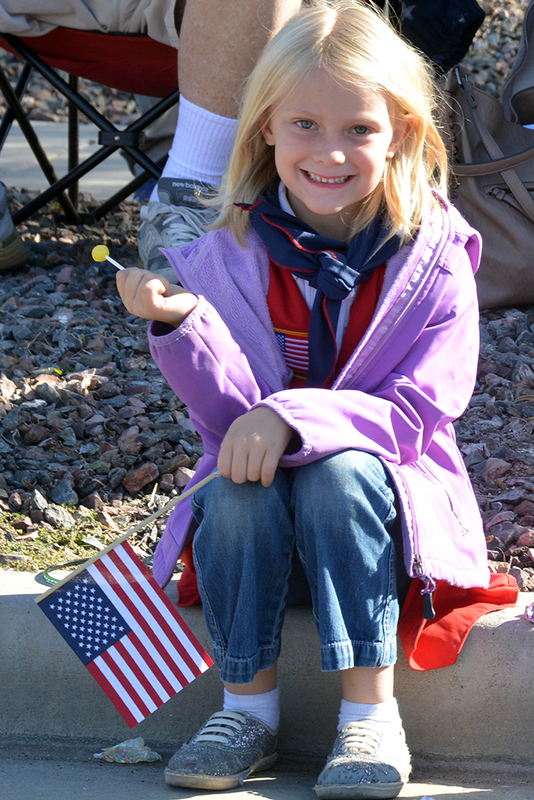 Kids Bilingual Story Time is at 9 a.m. at Maricopa Public Library, 41600 W. Smith-Enke Road. 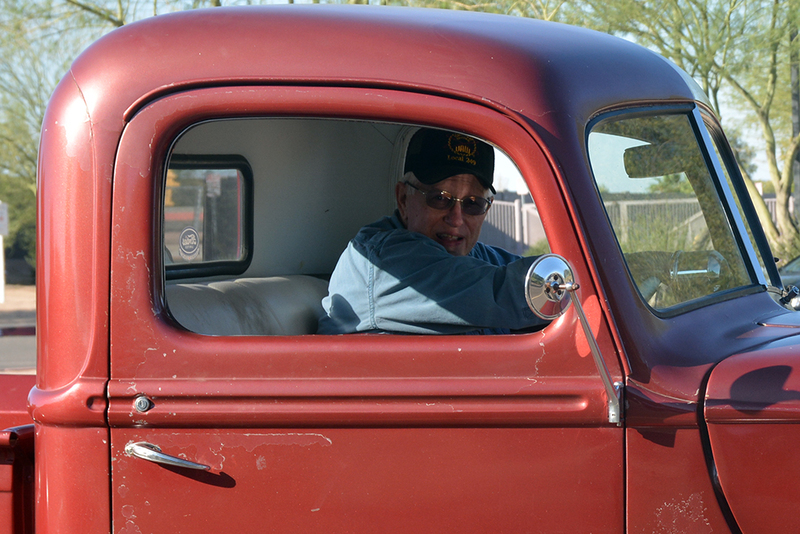 “Underwater Dreams” documentary is at 3 p.m. at Central Arizona College – Maricopa Campus, 17945 N. Regent Drive. Maricopa Healing Rooms are at 7 p.m. at Maricopa Healing Ministry, 19997 N. Justin Drive. A Joint Meeting of City Council/MUSD Governing Board is at 5:30 p.m. at Maricopa City Hall, 39700 W. Civic Center Plaza. City Council Regular Meeting is at 7 p.m. at Maricopa City Hall, 39700 W. Civic Center Plaza. 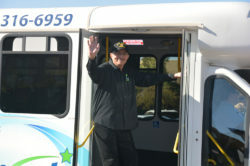 COMET Bus Shelter Unveiling is at 9 a.m. at Central Arizona College – Maricopa Campus, 17945 N. Regent Drive. Harrah’s Club 777 Toastmasters meet at 3 p.m. Harrah’s Ak-Chin Casino, 15406 Maricopa Road. Business Speed Networking is at 6:30 p.m. at Maricopa City Hall, 39700 W. Civic Center Plaza. 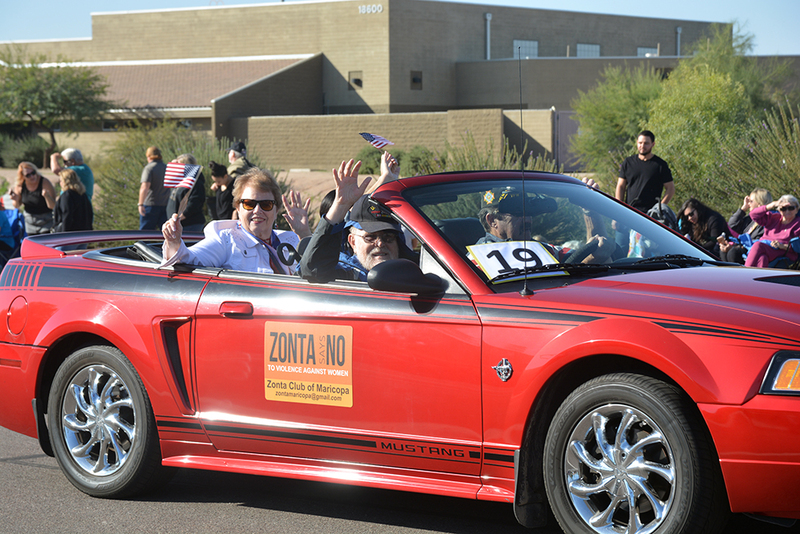 Zonta Club of Maricopa meets at 5:30 p.m. at Honeycutt Coffee, 44400 W. Honeycutt Road, Suite 109. 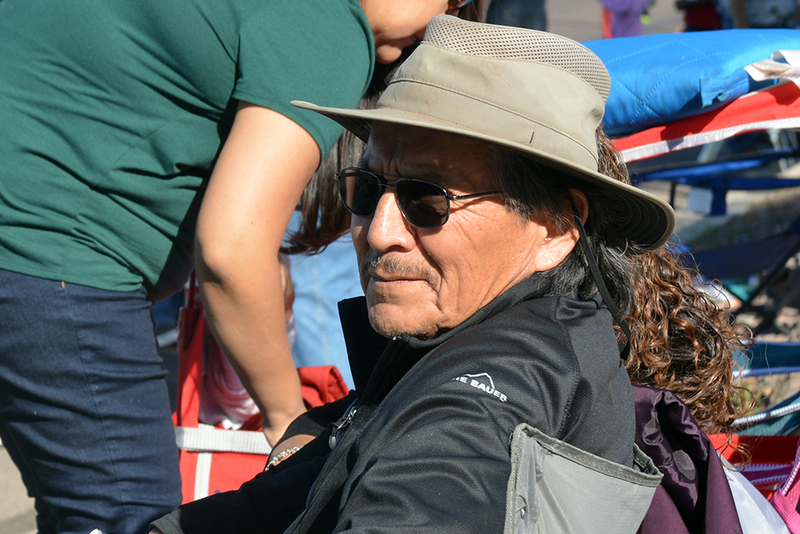 Maricopa Healing Rooms are at 6:30 p.m. at Maricopa Healing Ministry, 19997 N. Justin Drive. 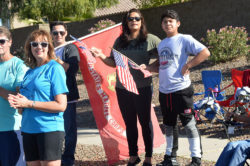 Tortosa Community Garage Sale is 7 a.m.-1 p.m. around the Tortosa community. Millar Airport Fall Fly-in with free breakfast is at 7:30 a.m. at Millar Airport, 53510 W. McDavid Road. Friends of the Maricopa Public Library Book Sale is 9 a.m.-2 p.m. at Maricopa Public Library, 41600 W. Smith-Enke Road, Building 10. Chamber of Commerce Ambassadors After Hours is at 5:30 p.m. at Breez Casuals, 43366 W. Little Drive. Maricopa Healing Rooms are at 6:30 p.. at Maricopa Healing Ministry, 19997 N. Justin Drive. Game Night is at 6:30 p.m. at Copper Sky Multigenerational Center, 44345 W. Martin Luther King Jr. Blvd. Church Rummage Sale is at 7 a.m. at Maricopa Community Church, 44977 W. Hathaway Ave.
Movies Under the Stars is at 6 p.m. at UltraStar Multi-tainment Center, 16000 N. Maricopa Road. 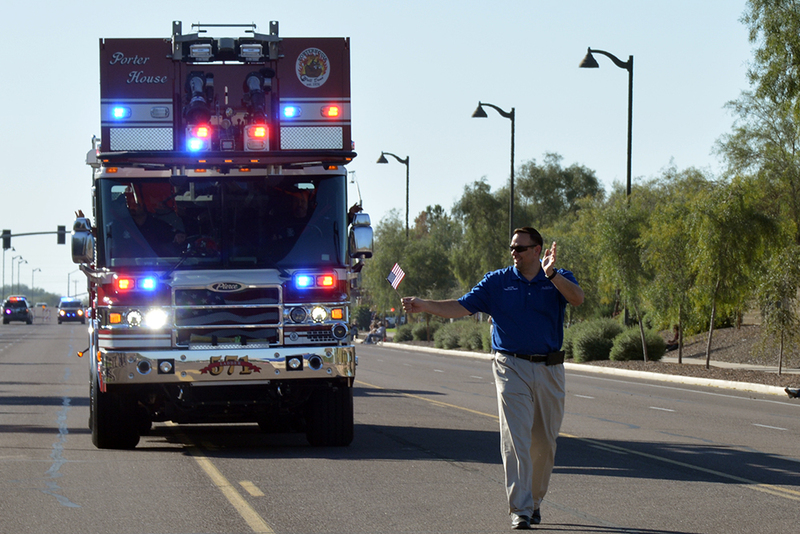 Commemorations of Sept. 11 and Homecoming activities mark this week’s events in Maricopa. For details on the following events and others, or to add your own, go to InMaricopa.com/Calendar. 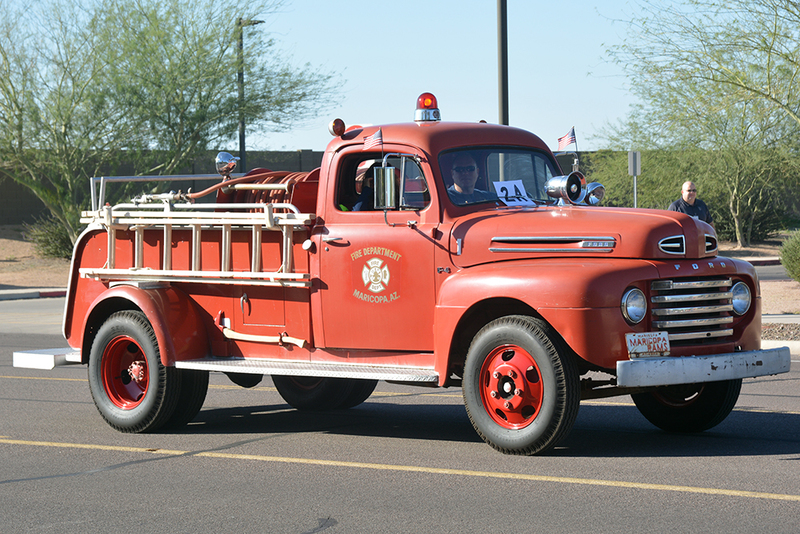 Planning & Zoning Commission meets at 6 p.m. at Maricopa City Hall, 39700 W. Civic Circle Plaza. 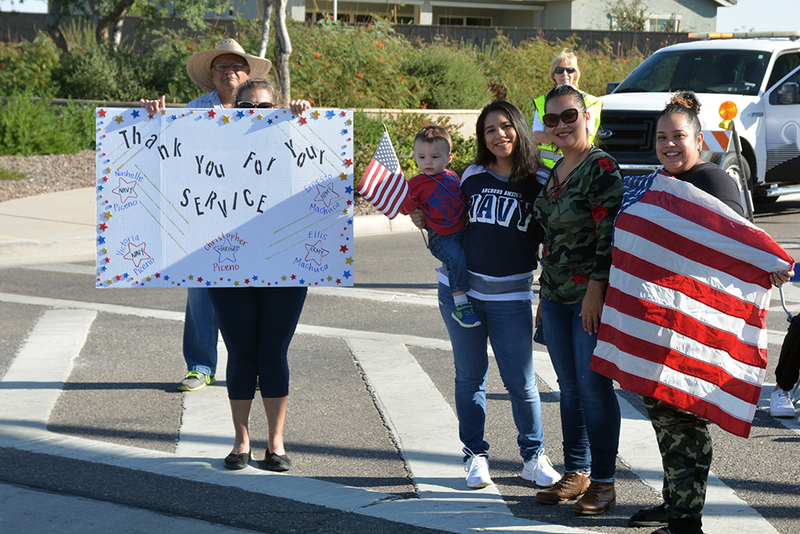 MHS Staff v. Students Football Game is at 7 p.m. at Ram Stadium 45012 W. Honeycutt Ave.
Sept. 11 Remembrance Ceremony is at 6:30 a.m. at Copper Sky Police Substation, 17985 N. Greythorne Drive. Patriot Day Flag Raising is at a.m. at Maricopa Veterans Center, 44240 W. Maricopa-Casa Grande Highway. 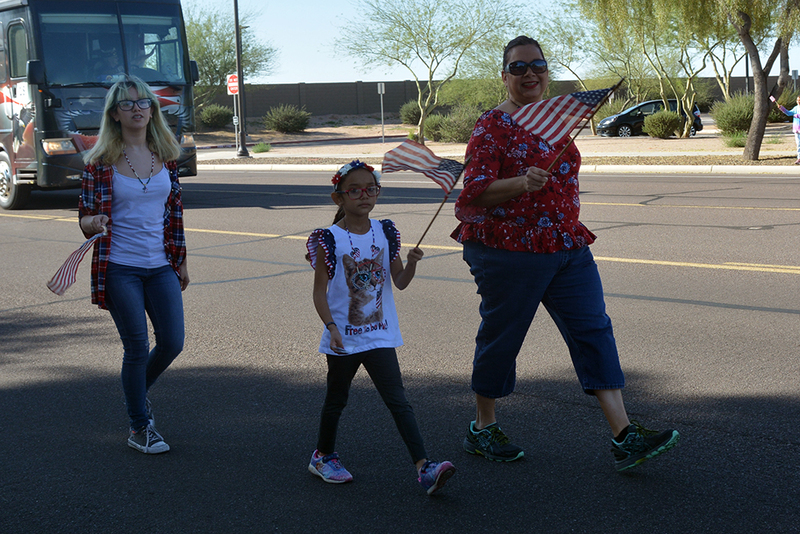 Patriot Day Flag Raising is at 8 a.m. at Maricopa High School, 45012 W. Honeycutt Ave.
Patriot Day Ceremony is at 8 a.m. at Legacy Traditional School, 17760 N. Regent Drive. Creative Sisterhood is at 9 a.m.at Santa Cruz Elementary School, 19845 N. Costa del Sol Blvd. Caregiver Support Group meets at 10 a.m. at Copper Sky Multigenerational Center, 44345 W. Martin Luther King Jr. Blvd. Maricopa Small Business Education Series Kickoff is at 11 a.m. at Central Arizona College – Maricopa Campus, 17945 N. Regent Drive. 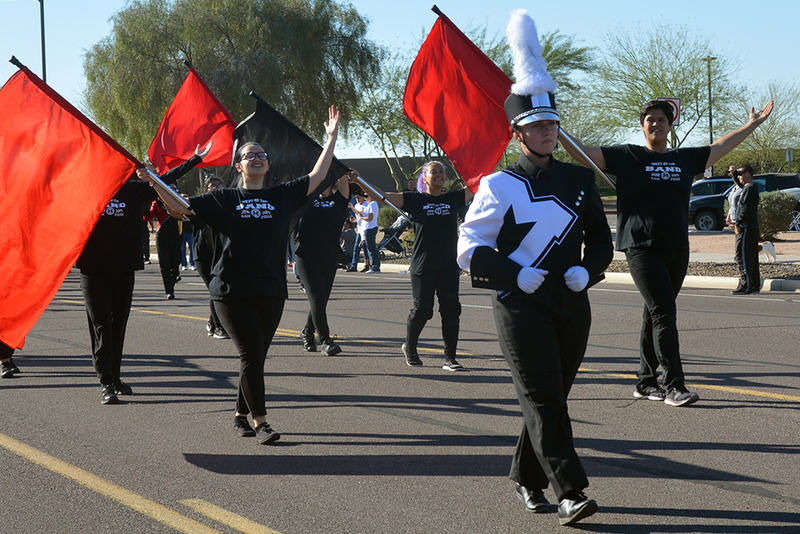 Freshman Football Game is at 6 p.m. at Maricopa High School, 45012 W. Honeycutt Ave.
MUSD Governing Board meets at 6:30 p.m. at Maricopa Unified School District Office, 44150 W. Maricopa-Casa Grande Highway. Ramfest is at 6 p.m. at Copper Sky Regional Park, 44345 W. Martin Luther King Jr. Blvd. 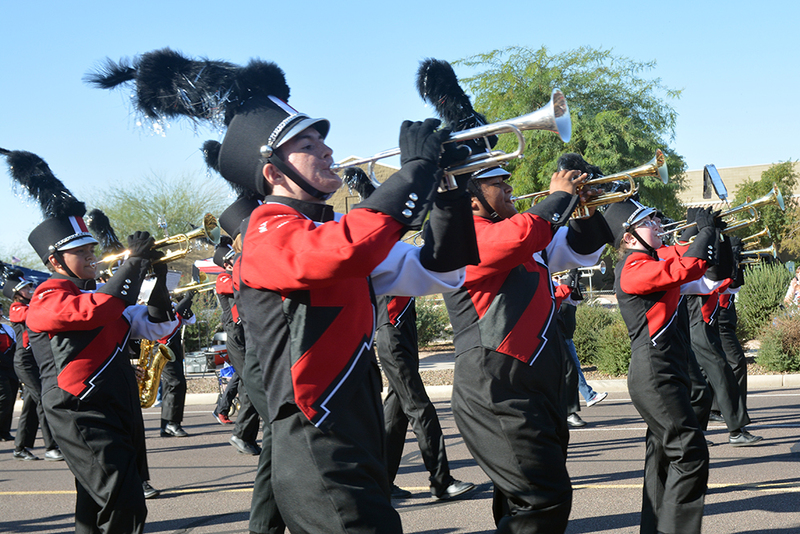 Homecoming Football Game is at 7 p.m. at Maricopa High School, 45012 W. Honeycutt Ave.
Sequoia Pathway Football hosts South Point at 7 p.m. at Pacana Park, 19000 N Porter Road. Copa Shorts Film Fest Free Filmmaking Workshops are at 9:30 a.m. at Central Arizona College – Maricopa Campus, 17945 Regent Drive. 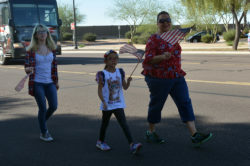 Kids Day Maricopa is at 10 a.m. at Maricopa Wells Middle School, 45725 W. Honeycutt Ave.
Labor Day, government offices, banks and many other businesses closed. Real Estate Roundtable is at 8 a.m. at Maricopa City Hall, 39700 W. Civic Center Plaza. Family Story Time is t 4 p.m. at Maricopa Public Library, 41600 W. Smith-Enke Road. 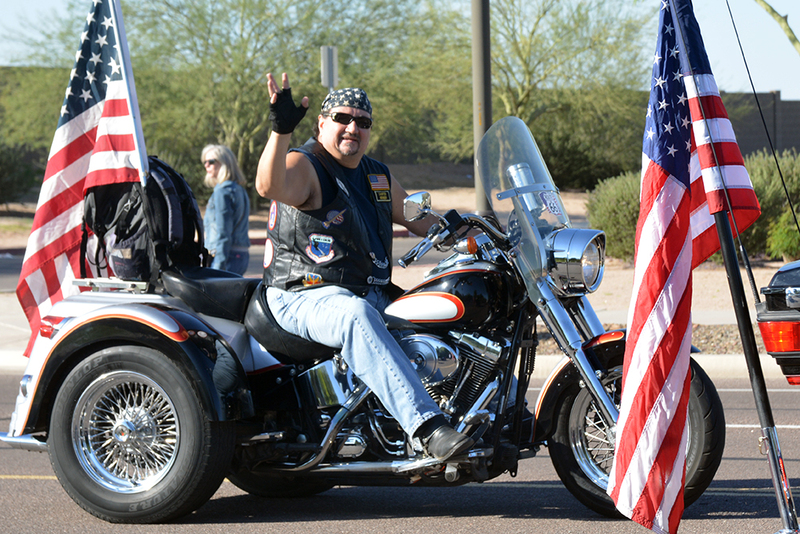 Maricopa Healing Rooms are at 6:30 p.m. at Healing Rooms Ministry, 19997 N. Justin Drive. 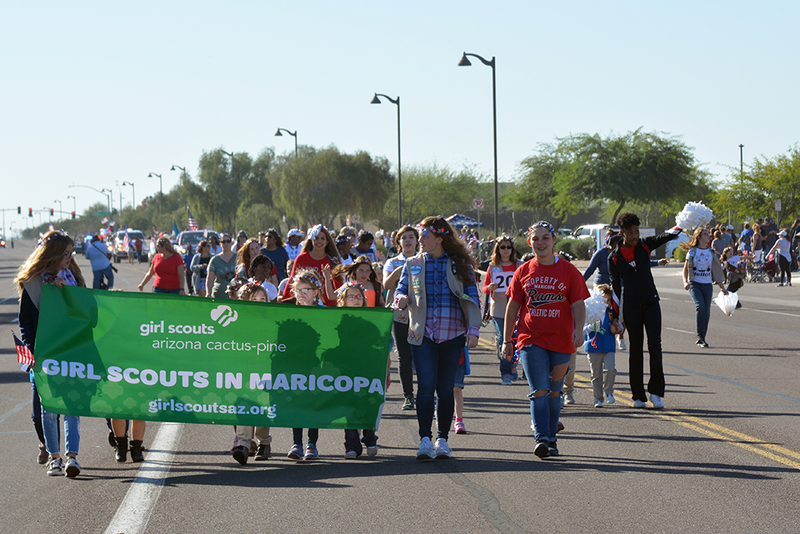 8-Bits is at 4 p.m. at Maricopa Public Library, 41600 W. Smith-Enke Road. 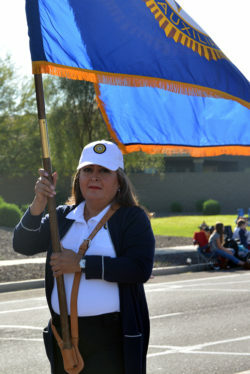 Pinal County NAACP State Conference is at 9 a.m. at the MPD Substation, 17985 N. Greythorne Drive. Parent Support Group for special needs families meets at 4 p.m. at Desert Sun Performing Arts, 19756 N. John Wayne Parkway, Suite 107. This week’s activities include Game Night and a Labor Day Pool Party. Below is a reminder that Tuesday is Primary Election Day. 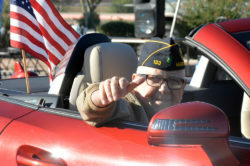 For details on these and other listings, visit InMaricopa.com/Calendar. Election Day, polls open 6 a.m.-7 p.m. Seniors play Pinochle at Santa Cruz Elementary School, 19845 N. Costa del Sol Blvd. 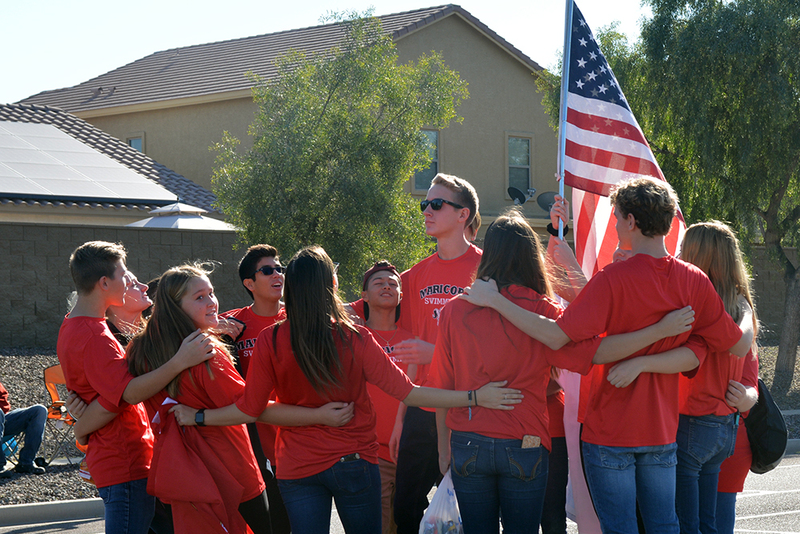 MHS Boys’ Golf is at 3 p.m. at Ak-Chin Southern Dunes, 48456 W. Hwy. 238. MHS Volleyball is at 6 p.m. at Maricopa High School, 45012 W. Honeycutt Ave.
Multigenerational Game Night is at 6:30 p.m. at Copper Sky Multigenerational Center, 44345 W. Martin Luther King Jr. Blvd. Pathway Football starts at 7 p.m. at Pacana Park, 19000 N. Porter Road. Labor Day Weekend Pool Party is at 6 p.m. at Copper Sky Aquatic Center, 44345 W Martin Luther King Jr. Blvd. VideoPhone Launch is scheduled for 9 a.m. at Maricopa Public Library, 41600 W. Smith-Enke Road. 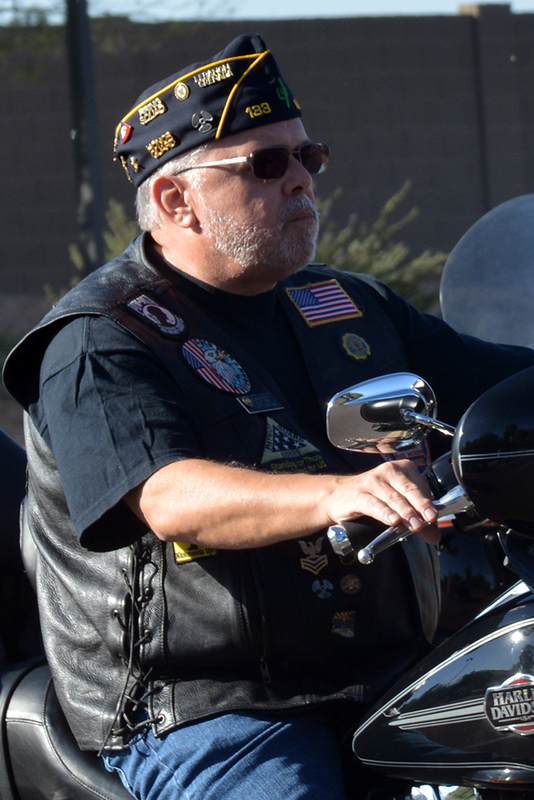 Maricopa Healing Rooms are at 7 p.m. at Healing Rooms Ministries, 19997 N. Justin Drive. MHS Boys’ Golf match is at 3 p.m. at Ak-Chin Southern Dunes, 48456 W. Hwy. 238. 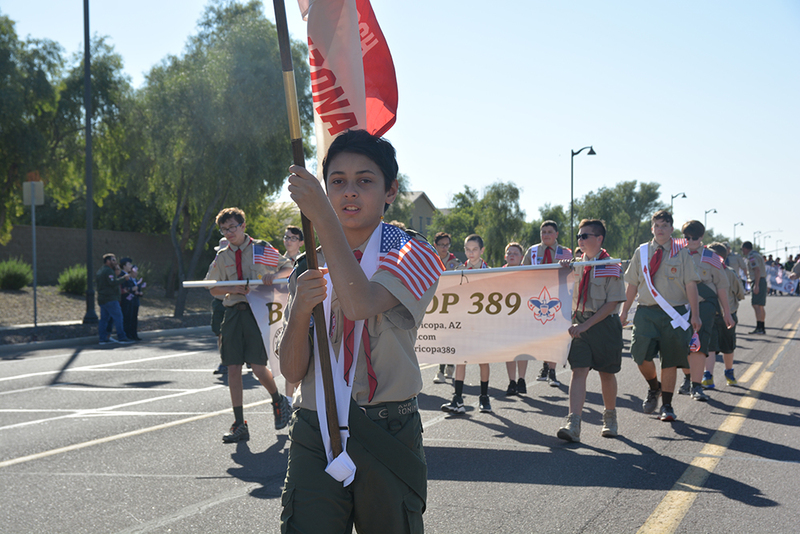 Board of Adjustment meets at 4 p.m. at Maricopa City Hall, 39700 W. Civic Center Plaza. 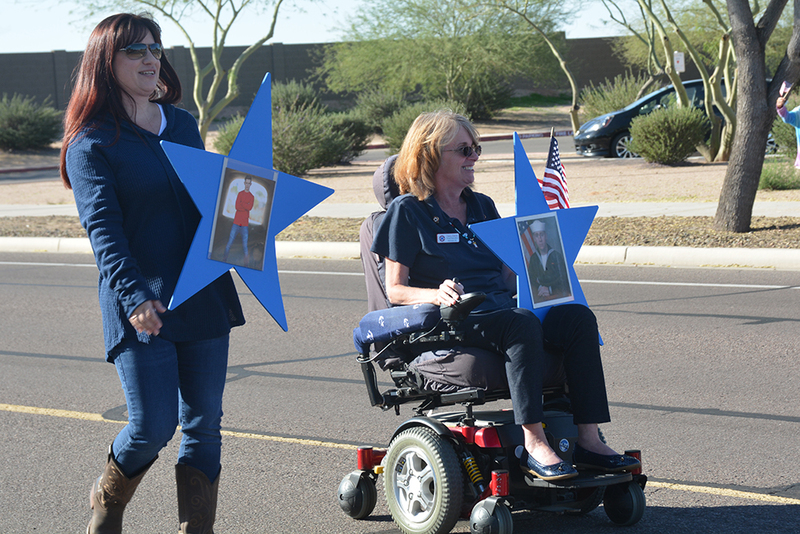 MUSD Board Meeting is at 6:30 p.m. at Maricopa Unified School District, 44150 W. Maricopa-Casa Grande Hwy. 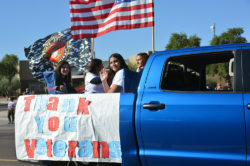 Maricopa Healing Rooms are at 6:30 p.m. at Healing Rooms Ministries, 19997 N. Justin Drive. Maricopa Historical Society meets at 5:30 p.m. at Maricopa Public Library, 41600 W. Smith-Enke Road. 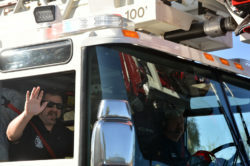 Councilmember on the Corner/Coffee with the Chief is at 9 a.m. at Global Water, 22590 N. Powers Parkway. 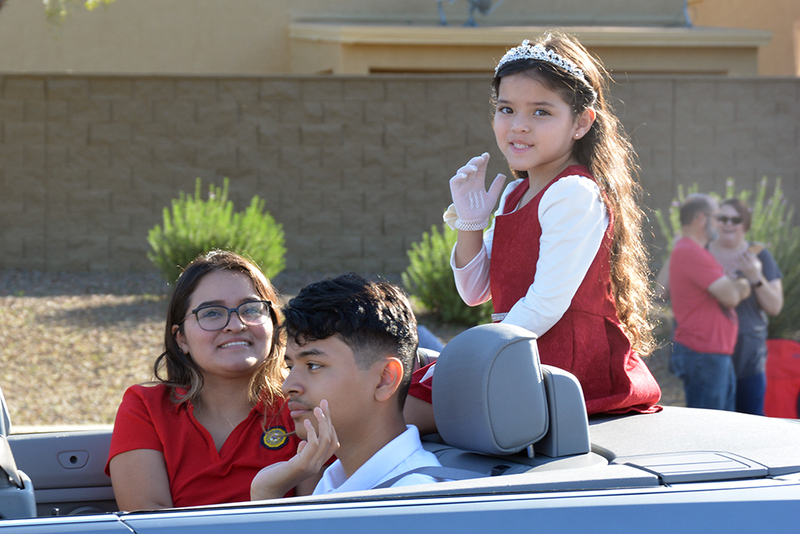 Opportunities to get oriented for the new school year, big steps in business development and important community meetings are part of this week’s activities in Maricopa. See details and more events, or add your own, at InMaricopa.com. 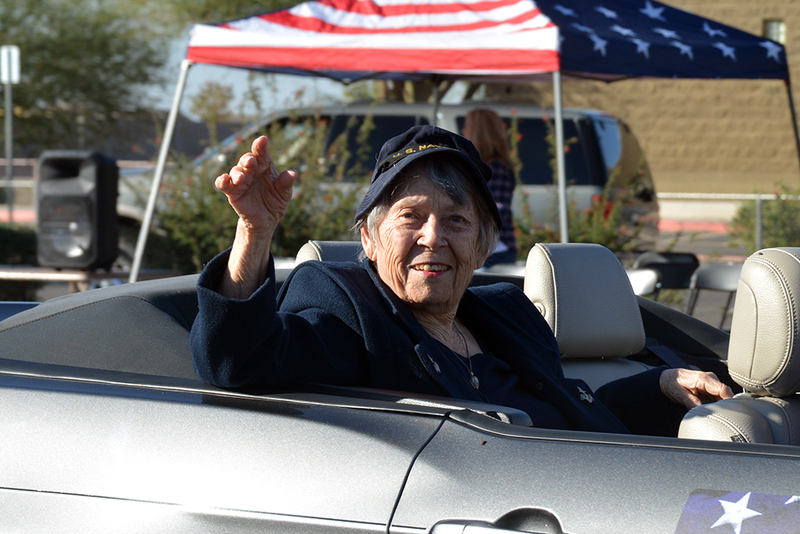 Age-Friendly Maricopa Advisory Committee meets at 4 p.m. at Maricopa City Hall, 39700 W. Civic Center Plaza. 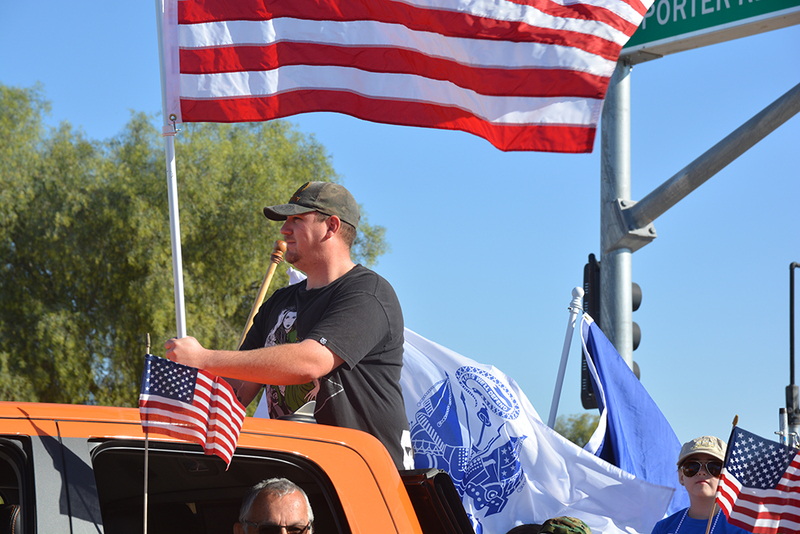 A Ray of Hope meeting of Narcotics Anonymous is at 7 p.m. Maricopa Community Church, 44977 W. Hathaway Ave. Healthy Living with Chronic Pain Workshop is at 9:30 a.m. at Copper Sky Multigenerational Center, 44345 W. Martin Luther King Jr. Blvd. 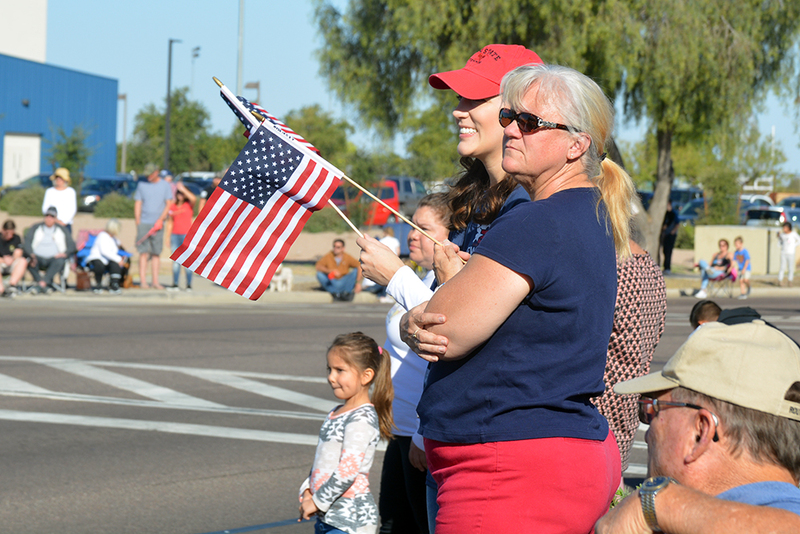 Board of Adjustment Hearing is at 4 p.m. at Maricopa City Hall, 39700 W. Civic Center Plaza. 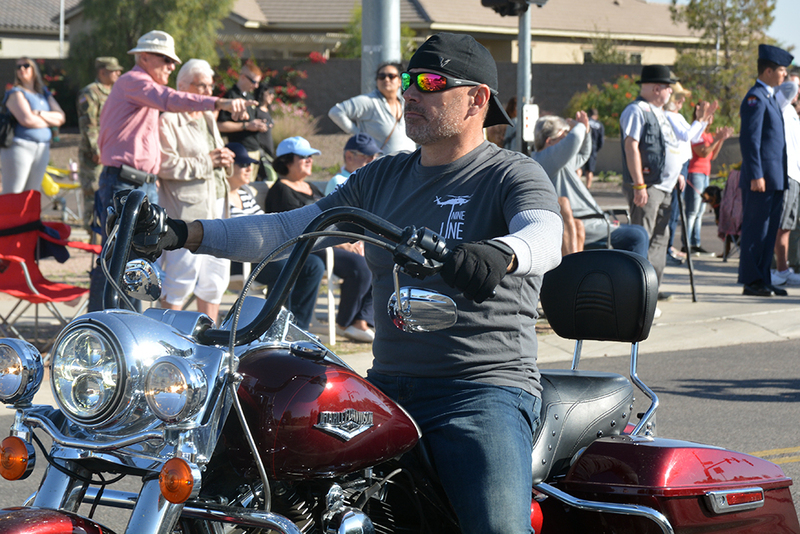 Grief Journey is at 2 p.m. Maricopa Public Library, 41600 W. Smith-Enke Road. 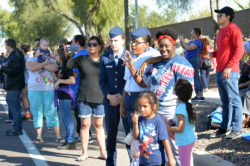 Meet the Teacher at 5 p.m. at Maricopa Wells Middle School, 45725 W. Honeycutt Ave.
Blue Star Mothers of Maricopa monthly meeting is at 6:30 p.m. at Maricopa Veterans Center, 44240 W. Maricopa-Casa Grande Hwy. 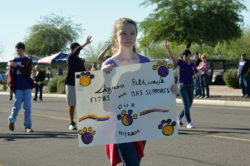 Freshman First Day is at 8 a.m. at Maricopa High School, 45012 W. Honeycutt Ave.
Color Me Calm at 9 a.m. at Maricopa Public Library, 41600 W. Smith-Enke Road. Business Groundbreaking is at 9:30 a.m. at Santa Cruz Commerce Center, 12501 N. Murphy Road. Family Story Time s at 4 p.m. at Maricopa Public Library, 41600 W. Smith-Enke Road. 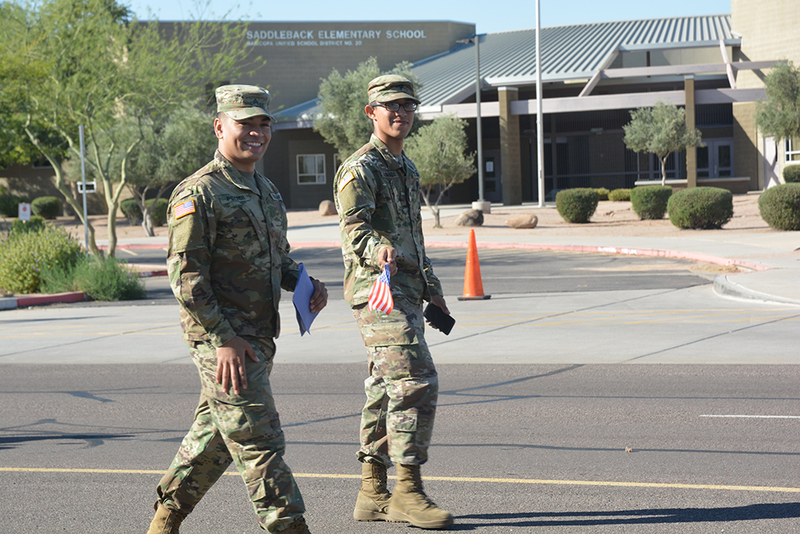 Meet the Teacher Night is at 5 p.m. at Sequoia Pathway Academy, 19287 N Porter Road. Meet the Teacher at 5 p.m. at Santa Rosa Elementary School, 21400 N Santa Rosa Drive. 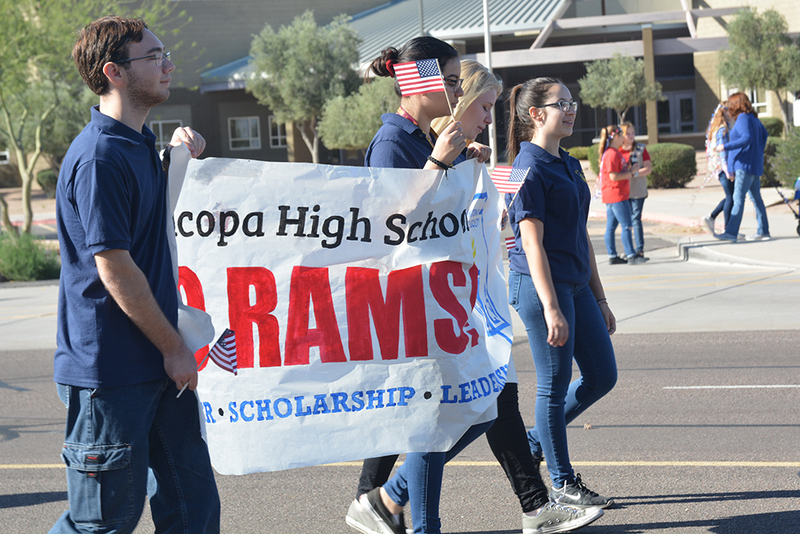 Ram Academy Orientation is at 5 p.m. at Maricopa High School, 45012 W. Honeycutt Ave.
Maricopa High School Open House is at 5 p.m. at Maricopa High School, 45012 W. Honeycutt Ave.
Meet the Teacher at 6 p.m. at Saddleback Elementary School, 18600 N. Porter Road. 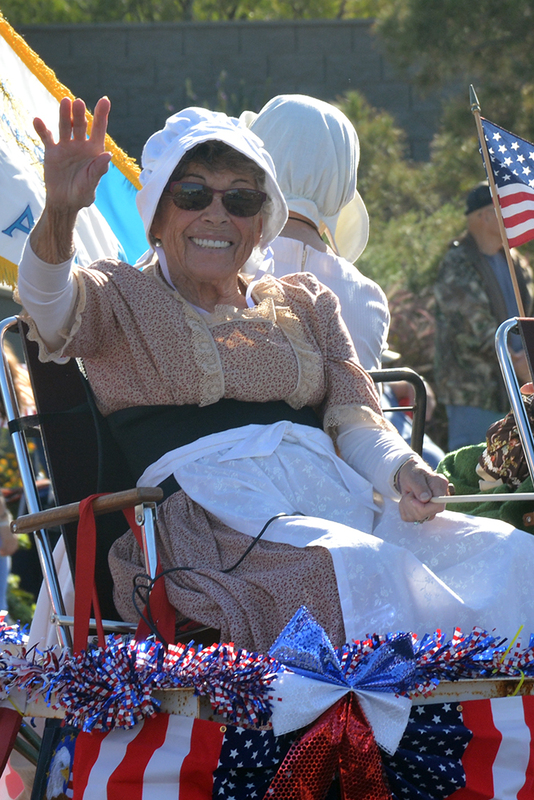 Seniors play Pinochle at 8:30 a.m at Santa Cruz Elementary School, 19845 N. Costa del Sol Blvd. 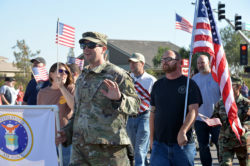 Business Grand Opening is at 9 a.m. at Ross Dress For Less, 20595 N. John Wayne Parkway. 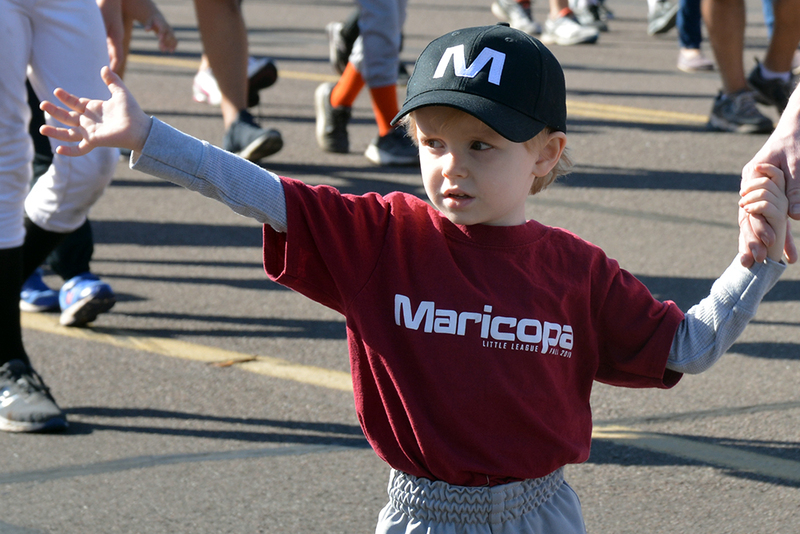 Annual Youth Football Camp is at 6 p.m. at Maricopa High School, 45012 W. Honeycutt Ave. 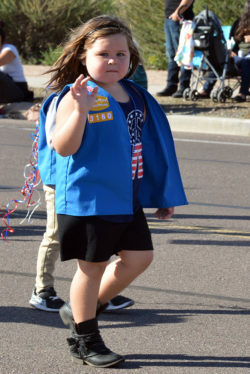 Clowning, magic, public meetings, a charity event and a political debate are all part of the activities in Maricopa this week. 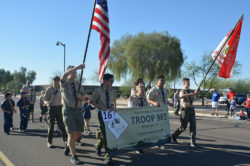 For details on these events, or to add your own, visit InMaricopa.com/Calendar. 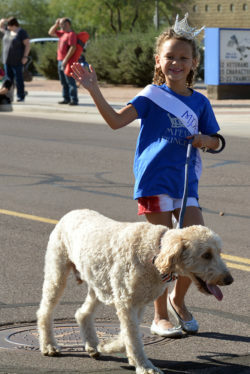 Lovely Buttons performs at 10 a.m. at Maricopa Public Library, 41600 W. Smith-Enke Road. 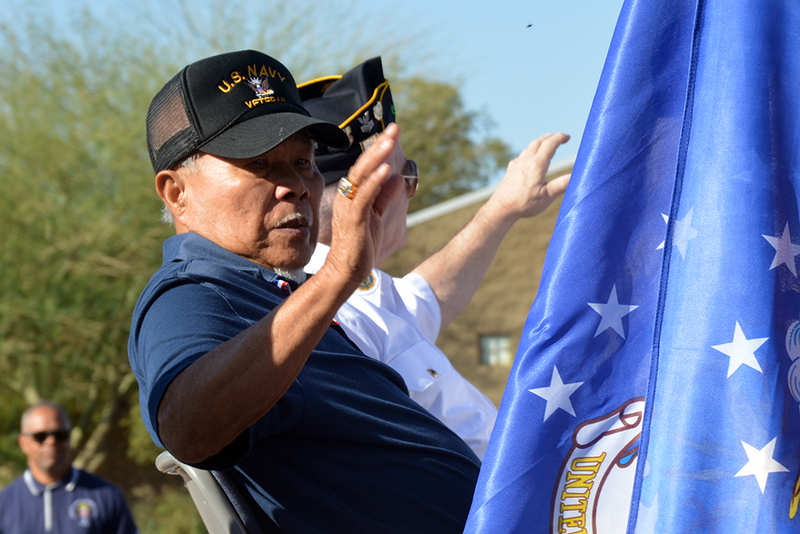 P&Z Commission Meeting is at 6 p.m. at Maricopa City Hall, 39700 W. Civic Center Plaza. A meal-packing event for Generosity feeds is at Volkswagen Group of America, 17169 N. Murphy Road. 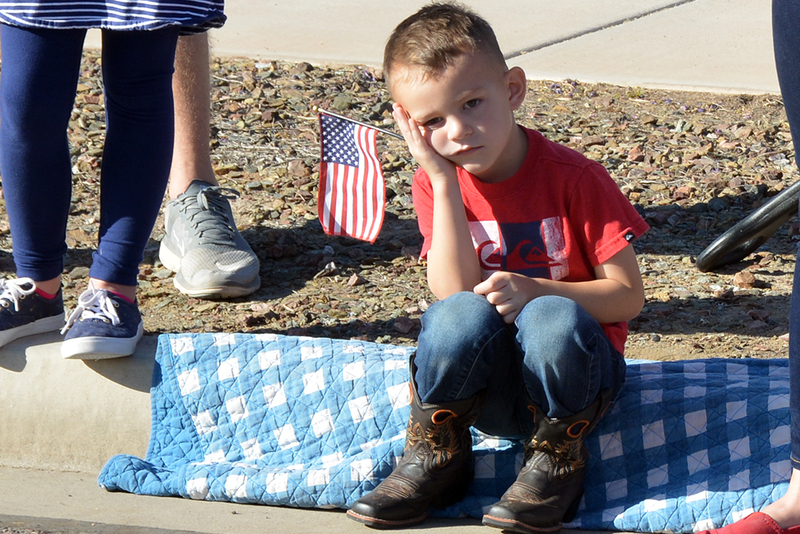 Grief Journey is at 2 p.m. at Maricopa Public Library, 41600 W. Smith-Enke Road. Sound FX is at 3:30 p.m. at Maricopa Public Library, 41600 W. Smith-Enke Road. 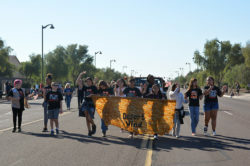 Be Awesome Youth Coalition Monthly Meeting is at 5:15 p.m. at Maricopa Elementary School, 18150 N. Alterra Parkway. 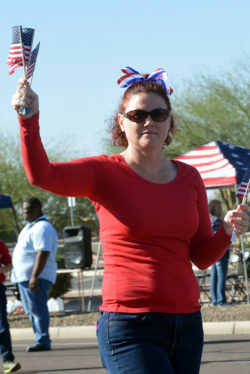 NABI Night Meet-and-Greet Party is 5:30-10 p.m. at UltraStar Multi-tainment Center, 16000 N. Maricopa Road. Magic with Kaden is at 3 p.m. at Maricopa Public Library, 41600 W. Smith-Enke Road. Rotary City Council Debate is at 6 p.m. at Maricopa Unified School District, 44150 W. Maricopa-Casa Grande Hwy. 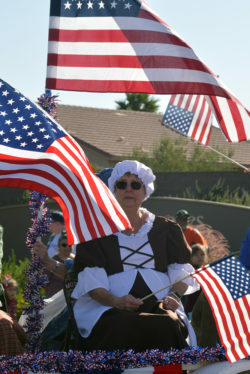 Mother Goose, a specia event, is at 10 a.m. at Maricopa Public Library, 41600 W. Smith-Enke Road. Magician Eric Giliam performs at 5 p.m. at Maricopa Public Library, 41600 W. Smith-Enke Road. MUSD Board Meeting is at 6:30 p.m. at Maricopa Unified School District, 44150 W. Mariccopa-Casa Grande Hwy. The Princess, the Unicorn and the Smelly Foot Troll, a special event, is at 3 p.m. at Maricopa Public Library, 41600 W. Smith-Enke Road. Grand Opening is at 3 p.m. at Pioneer Title Agency, 21596 N. John Wayne Parkway, Suite 101. 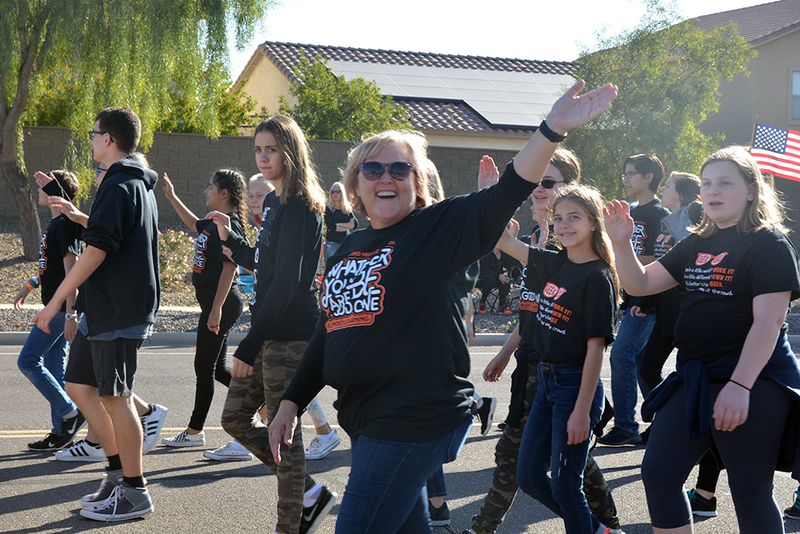 ONYX Young Choreographers Showcase is at 3 p.m. at Maricopa Performing Arts Center, 45012 W. Honeycutt Ave.
Summer-fun activities this week include an event at the Aquatic Center, juggling and dinosaurs at the Library and a Vacation Bible School. Below, Steve Miller of Maricopa Amateur Radio Association explains an upcoming emergency drill. For details on these and other events, or to add your own, visit InMaricopa.com/Calendar. James Reid, Juggler Extraordinaire, performs at 10 a.m. at Maricopa Public Library, 41600 W. Smith-Enke Road. After the Fire presentation by MFMD is at 7 p.m. at 43267 W. Maricopa Ave.
City Council Regular Session & Special Meeting are at 7 p.m. at Maricopa City Hall, 39700 W. Civic Center Plaza. Harrah’s Club 777 Toastmasters meet at 7 p.m. at Harrah’s Ak-Chin Casino, 15406 Maricopa Road. Teens Paint at 5 p.m. at Maricopa Public Library, 41600 W. Smith-Enke Road. Vacation Bible School starts at 9:30 a.m. daily at Maricopa Community Church, 44977 W. Hathaway Ave.
World’s Largest Swim Lesson is at 10 a.m. at Coper Sky Aquatic Center, 44345 W. Martin Luther King Jr. Blvd. Dinosaur Encounter is at 3 p.m. at Maricopa Public Library, 41600 W. Smith-Enke Road. Emergency Communication Drill starts at 11 a.m. and continues into Sunday afternoon at Copper Sky Police Substation, 17985 N. Greythorne Drive. A didgeridoo demo, presentations on caretaking and chronic pain, and a Movies Under the Stars from the Copper Sky pool are among this week’s activities in Maricopa. 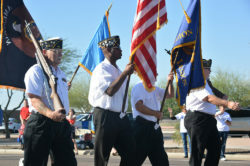 For details on these and other events, or to add your own, visit InMaricopa.com/Calendar. 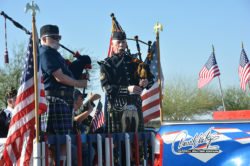 Didgeridoo Down Under is a special event at 10 a.m. at Maricopa Public Library, 41600 W. Smith-Enke Road. Caregiving Presentation is at 2 p.m. at Copper Sky Police Substation, 17985 N. Greythorne Drive. 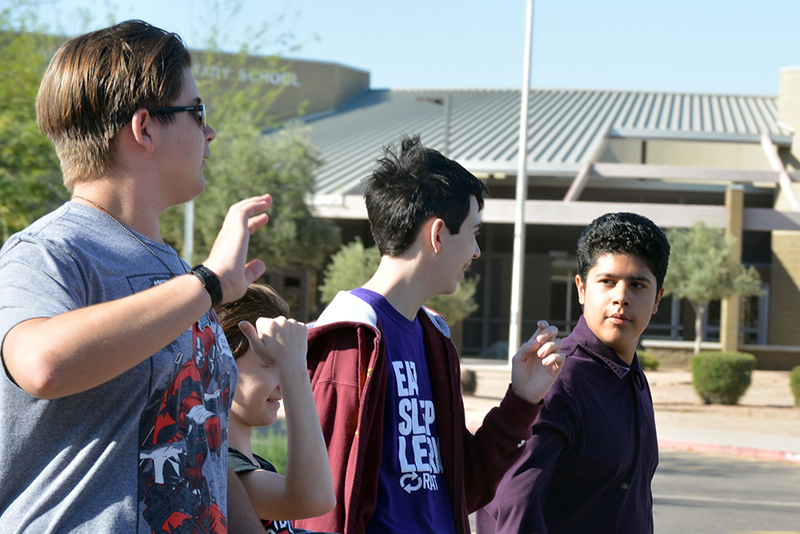 Movie Chat for teens is at 5 p.m. at Maricopa Public Library, 41600 W. Smith-Enke Road. 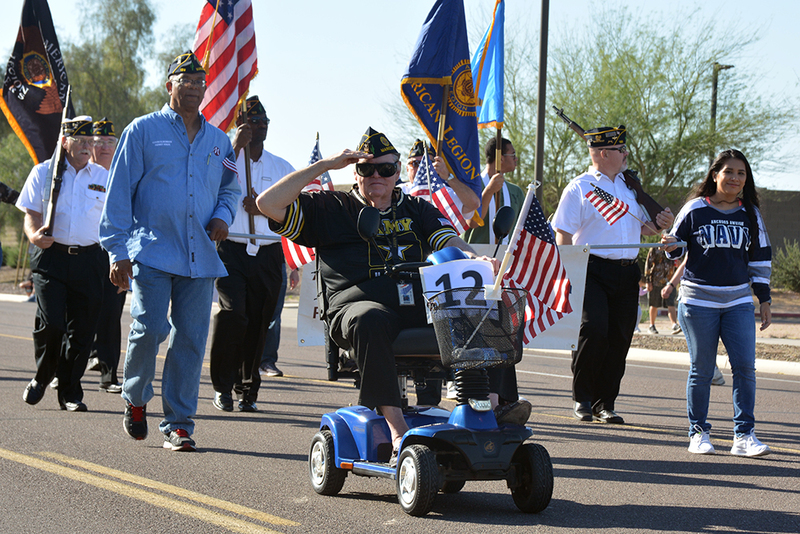 Veterans Affairs Advisory Committee meets at 6 p.m. in the Montezuma Conference Room at Maricopa City Hall, 39700 W. Civic Center Plaza. Seniors play Canasta at 1 p.m. at at Santa Cruz Elementary School, 19845 N. Costa del Sol Blvd. Dr. T-Rex Science is a special event at 3 p.m. at Maricopa Public Library, 41600 W. Smith-Enke Road. 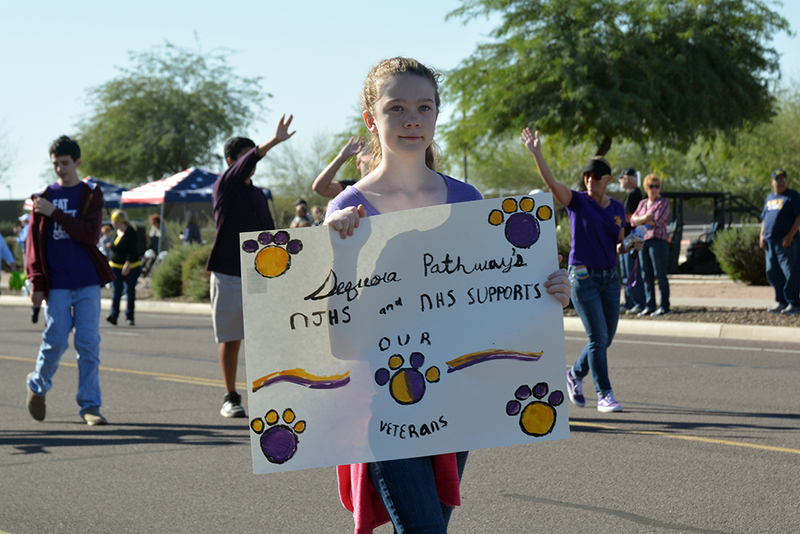 Maricopa Healing Rooms are at 6:30 p.m. at Maricopa Healing Rooms, 19997 N. Justin Drive. Movies in the Pool starts at 7 p.m. at Copper Sky Regional Park, 44345 Martin Luther King Jr. Blvd. A health workshop, special events at the library and a girls’ basketball clinic are among this week’s activities. Below, Tony Johnson and Adrian De Guzman from the cast of “Rent” invite musical-lovers to one of five performances this week. 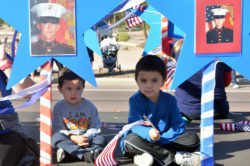 Learn details on these events, or add your own, by visiting InMaricopa.com/Calendar. 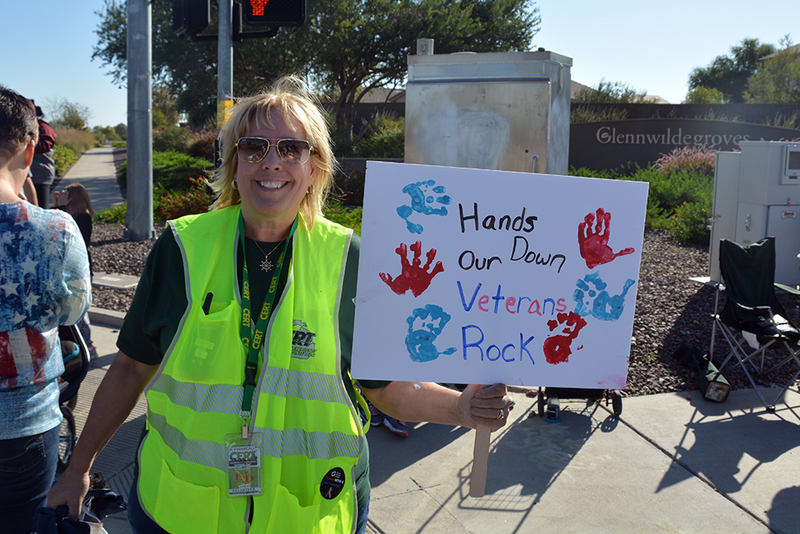 Sticks ‘n Tones, a special event, is at 10 a.m. at Maricopa Public Library, 41600 W. Smith-Enke Road. 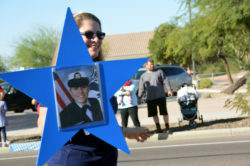 Maricopa Healing Rooms begin at 7 p.m. at 19997 N. Justin Drive. Seniors play Pinochle at 8:30 a.m. nat Santa Cruz Elementary School, 19845 N. Costa del Sol Blvd. 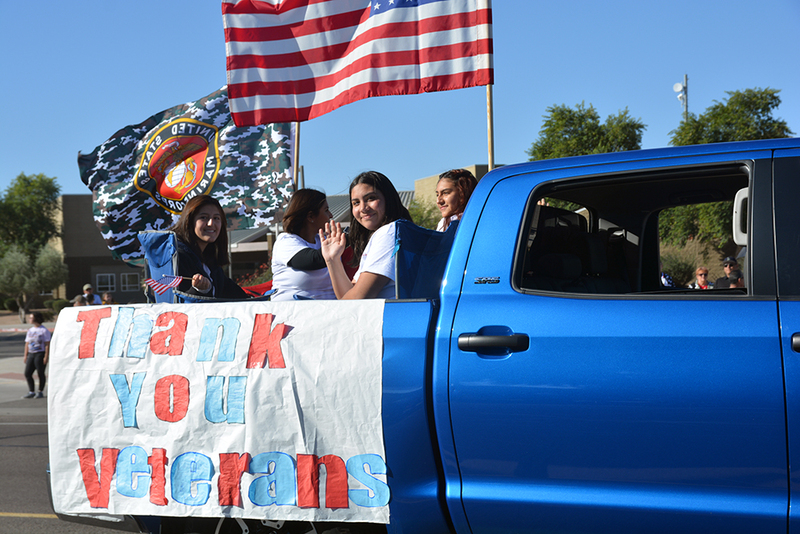 Tie Dye T-Shirts, a special event for teens, is at 5 p.m. at Maricopa Public Library, 41600 W. Smith-Enke Road. “Rent,” the musical, is performed at 7 p.m. nightly, plus a 2 p.m. Saturday matinee, at Leading Edge Academy, 18700 N. Porter Road. Bang Bang Balloon Company, a special event, is at 3 p.m. at Maricopa Public Library, 41600 W. Smith-Enke Road. 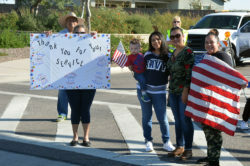 Maricopa Healing Rooms begin at 6:30 p.m. at 19997 N. Justin Drive. 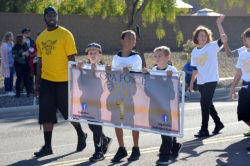 Ariel Lara Memorial Basketball Clinic starts at 8 a.m. at Sequoia Pathway Academy, 19287 N. Porter Road. With summer vacation in full swing and temperatures heating up, most Maricopa activities move inside or in the pool. Below, Wildman Phil invites kids to his show as part of the Maricopa Public Library’s Summer Reading season. 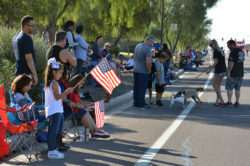 Learn more about these events and more, or add your own, at InMaricopa.com/Calendar. Wildman Phil introduces wildlife at 3 p.m. at Maricopa Public Library, 41600 W. Smith-Enke Road. Movie in the Pool starts at 7 p.m. at Copper Sky Regional Park, 44345 Martin Luther King Jr. Blvd. Leading Edge Academy talent will be on display this week in the Spring Musical, "The Wizard of Oz." 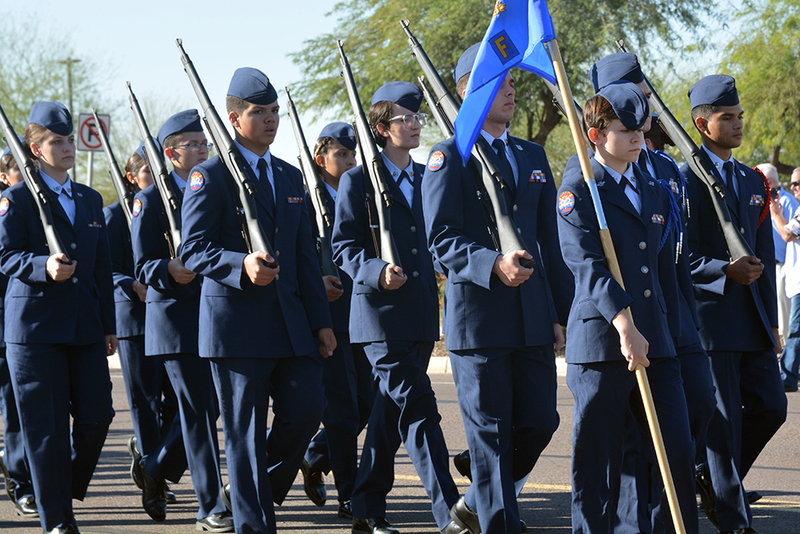 A very busy week in Maricopa includes a high school commencement, a fallen-officer monument dedication, middle school sports championship games, a televised golf event, a State of the County address and much more. Below, Leading Edge teachers Joy Blair and Jessica Fox invite the community to an art show and the performance of “The Wizard of Oz.” See details of these and other events, or add your own, at InMaricopa.com/Calendar. MPD Memorial Monument Dedication is at 7 a.m. at Copper Sky Police Substation, 17985 N. Greythorne Drive. 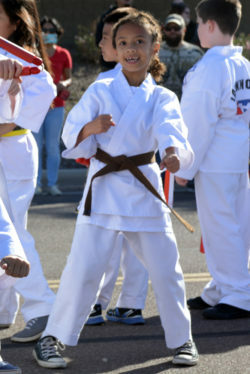 Ak-Chin Smash in the Sun is 8 a.m.-2 p.m. at UltraStar Multi-tainment Center, 16000 N. Maricopa Road. 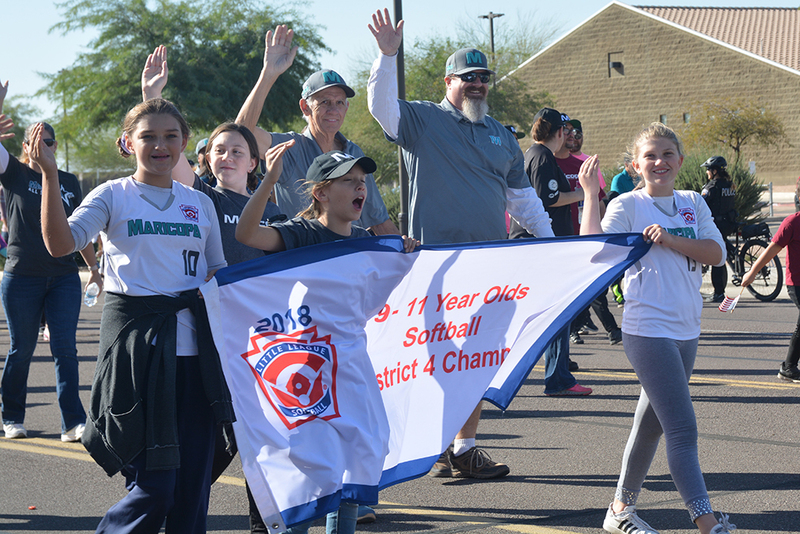 Middle School Football Championship Game is at 4:30 p.m. at Maricopa High School, 45012 W. Honeycutt Ave.
Middle Girls Soccer Championship Game is at 4:30 p.m. at Copper Sky Regional Park, 55345 W. Martin Luther King Jr. Blvd. 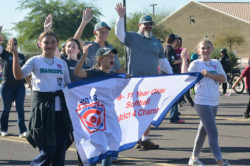 Middle School Basketball Championship Game is at 4 p.m. at Maricopa High School, 45012 W. Honeycutt Ave.
Senior Honors Night is at 6 p.m. at Maricopa Performing Arts Center, 45012 W. Honeycutt Ave.
Planning & Zoning Commission meets at 6 p.m. at Maricopa City Hall, 39700 W. Civic Center Plaza. 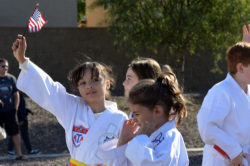 Ak-Chin Smash in the Sun is at 9 a.m. at UltraStar Multi-tainment Center, 16000 N. Maricopa Road. 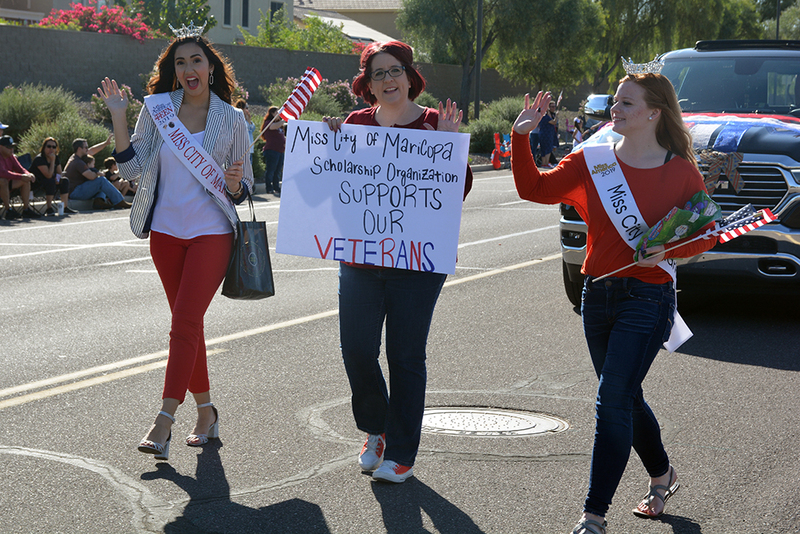 City Council Special Session is at 5 p.m. at Maricopa City Hall, 39700 W. Civic Center Plaza. 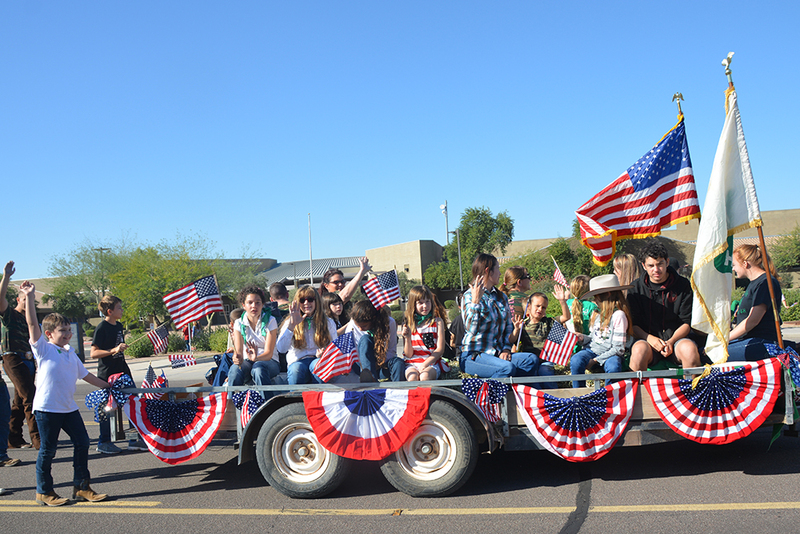 Legacy Junior High Choir Concert is at 6 p.m. at Legacy Traditional School, 17760 N. Regent Drive. City Council Work Session is at 6 p.m. at Marcopa City Hall, 39700 W. Civic Center Plaza. 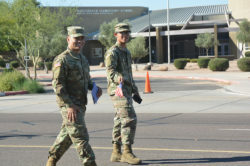 SPA Senior Awards Night is at 7 p.m. at Sequoia Pathway Academy, 19287 N Porter Road. LEA Visual Arts Show is at 5 p.m. at Leading Edge Academy Maricopa, 18700 North Porter Road. State of the County Address is at 5:30 p.m. Elements Event Center at Ak Chin Circle, 16000 N. Maricopa Road. 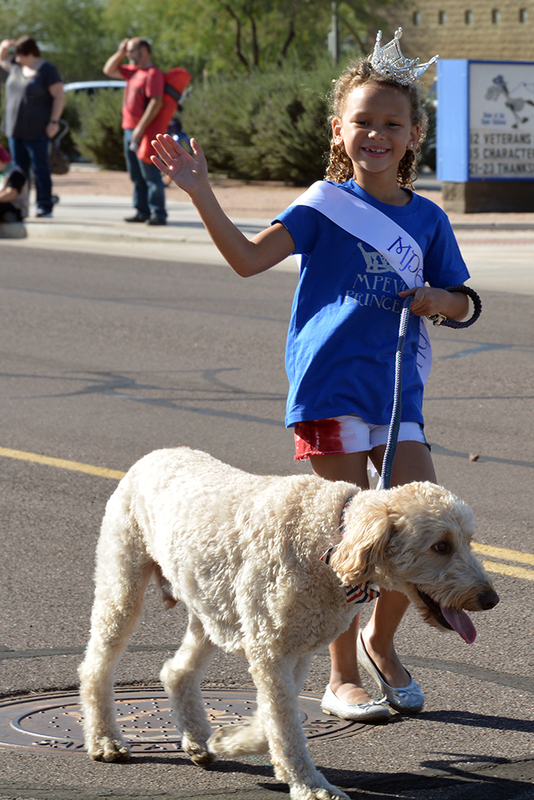 LEA Spring Musical “The Wizard of Oz” is at 6:30 p.m. at Leading Edge Academy Maricopa, 18700 North Porter Road. Karate Charlie Demonstration is 5-8:30 p.m. at Maricopa Performing Arts Center, 45012 W. Honeycutt Ave.
Sequoia Pathway Graduation is at 7 p.m. in the gym at 19287 N. Porter Road. 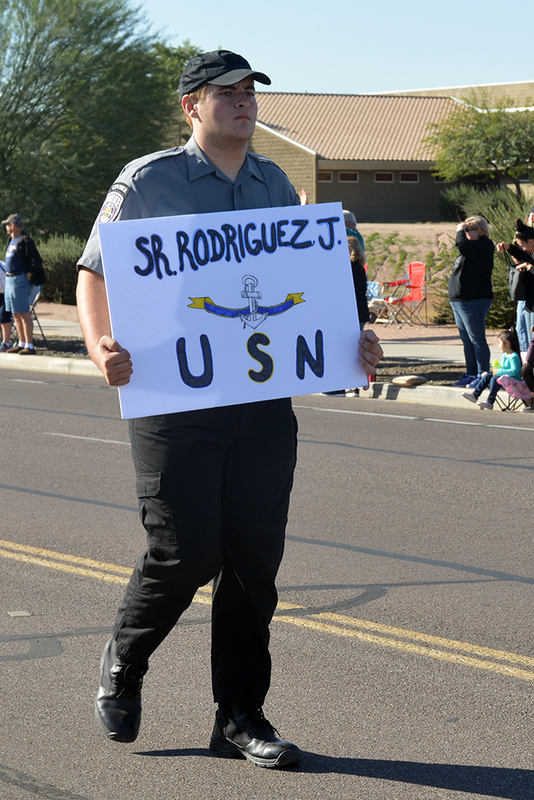 Councilmember on the Corner is at 9 a.m. at Maricopa City Hall, 39700 W. Civic Center Plaza. Movies Under the Stars is at 7 p.m. at Copper Sky Regional Park, 44345 W. Martin Luther King Jr. Blvd. 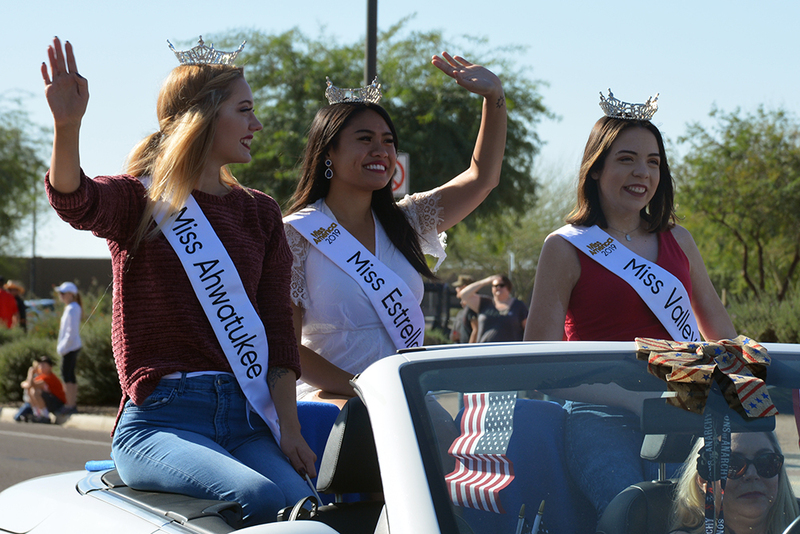 From a presentation on cotton and a free music marathon to Native American Education Program’s Family Night and the debut of the World Long Drive, there is a lot going on in Maricopa this week. 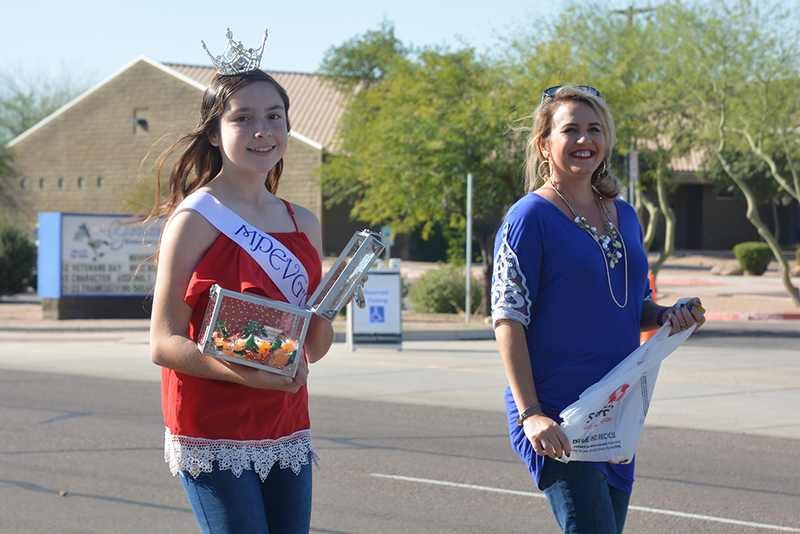 Below, the city’s events manager, Niesha Whitman, invites the community to the final 2nd Saturday Maricopa Market of the season. 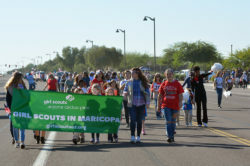 See more events or add your own at InMaricopa.com/Calendar. An Arizona cotton presentation is at 5:30 p.m. at Maricopa Public Library, 41600 W. Smith-Enke Road. 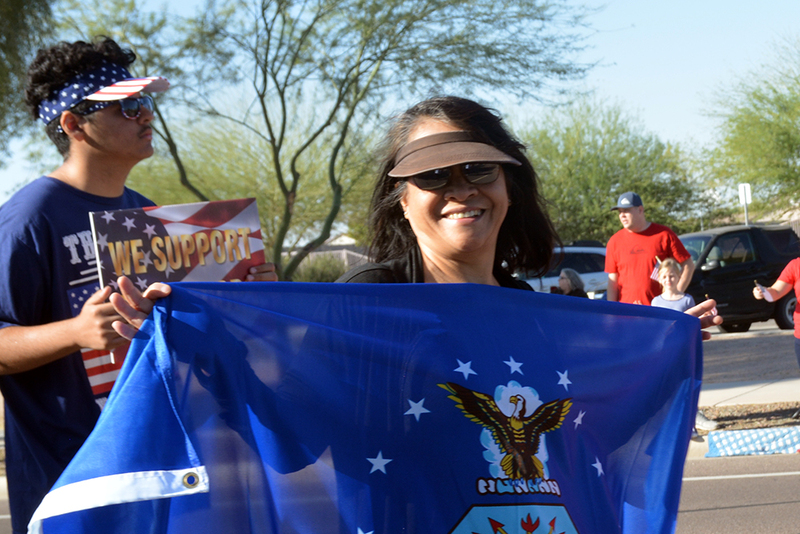 Maricopa Healing Rooms are at 7 p.m. at Maricopa Healing Rooms, 19997 N. Justin Drive. Youth Council Meeting is at 6 p.m. at Copper Sky Multigenerational Center, Multipurpose Room A, 45345 W. Martin Luther King Jr. Blvd. Native American Family Night is at 6 p.m. at Maricopa Performing Arts Center, 45012 W. Honeycutt Ave.
Chamber Breakfast Mixer is at 7 a.m. at Elements Event Center at Ak Chin Circle, 16000 N. Maricopa Road. Maricopa Multi Cultural Consortium Meeting is at 2 p.m. at Maricopa Center for Entrepreneurship, 20800 N. John Wayne Pkwy, Ste. 108. Leading Edge Academy Maricopa Student Talent Show is at 6:30 p.m. at Leading Edge Academy Maricopa, 18700 North Porter Road. 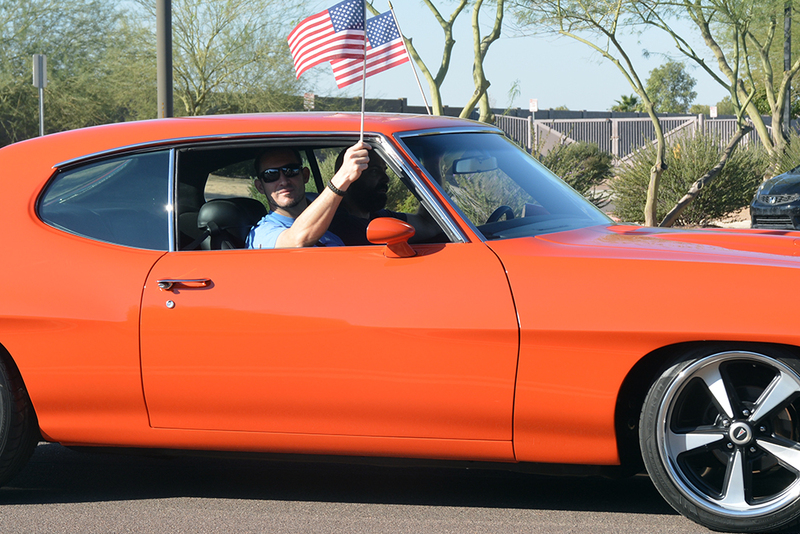 Smash in the Sun World Long Drive starts at 9 a.m. at UltraStar Multi-tainment Center, 16000 N. Maricopa Road. 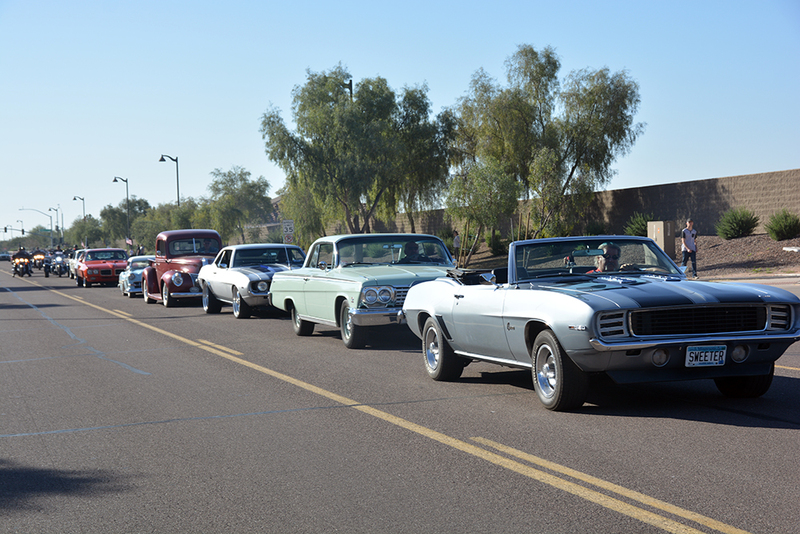 Smash in the Sun World Long Drive starts at 8 a.m. at UltraStar Multi-tainment Center, 16000 N. Maricopa Road. 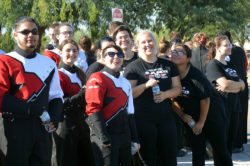 Music-A-Thon, featuring performers from all MUSD music departments all day at Maricopa Performing Arts Center, 45012 W. Honeycutt Ave.
An opportunity to meet people vying to be the next Community Services director, a ribbon-cutting event and the beginning of Movies Under the Stars are part of this week’s activities. 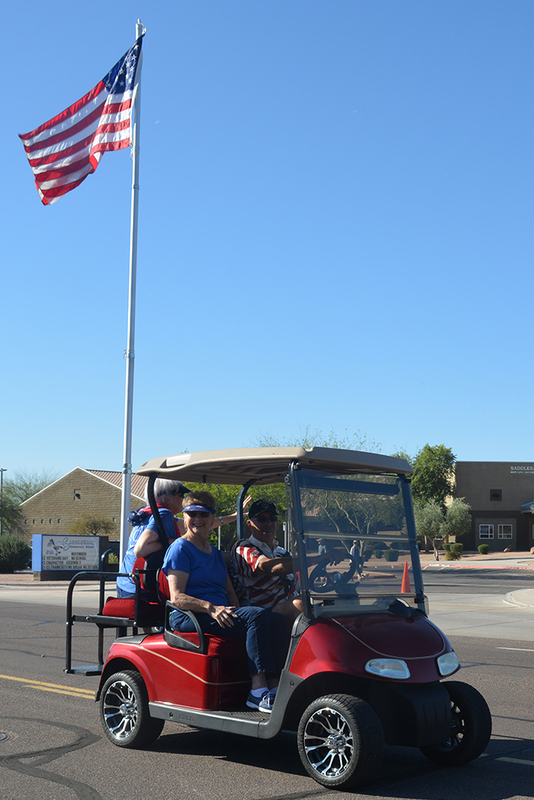 Below, learn about the annual Maricopa Historical Society Golf Tournament. NOTE: Scheduled school-related events may be impacted by the status of an ongoing teacher walkout. 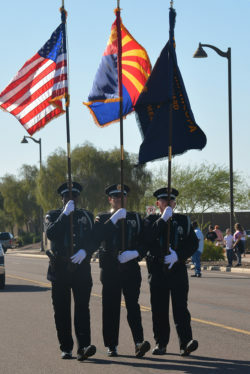 For details about these and other events, or to add your own, visit InMaricopa.com/Calendar. 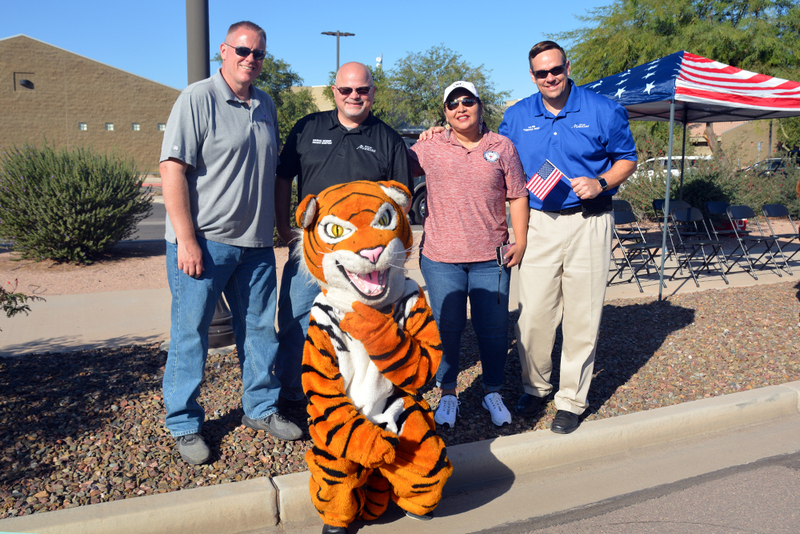 Community Meet and Greet with Community Services Director Candidates is at 5:30 p.m. at Maricopa City Hall, 39700 W. Civic Center Plaza. Costa Verde Homes Ribbon-Cutting is at 5:30 p.m. at Santa Rosa Springs, 42332 W. Ramirez Drive. 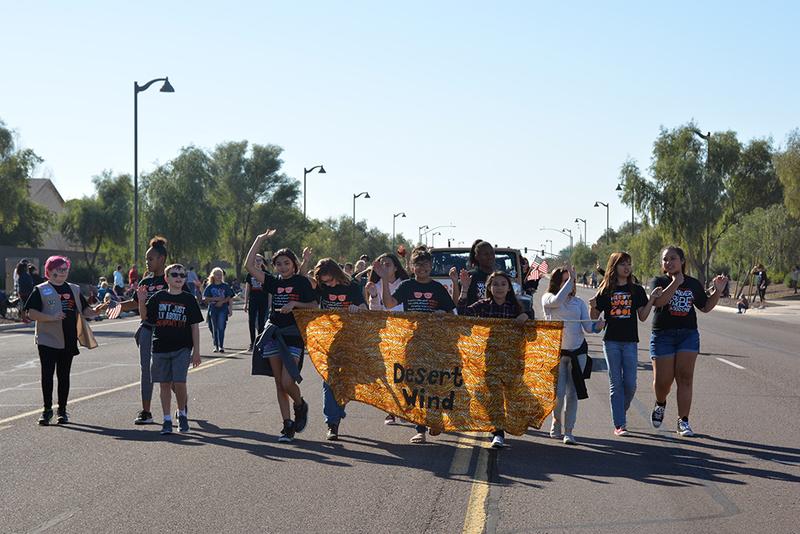 MUSD Art Walk is at 6 p.m. at Maricopa Unified School District, 44150 W. Maricopa-Casa Grande Hwy. 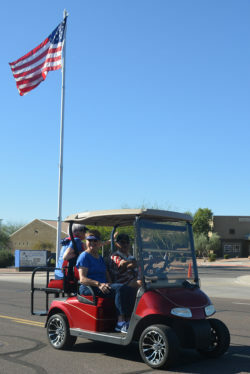 Maricopa Historical Society Golf Tournament is at 7 a.m. at The Duke Golf Course at Rancho El Dorado, 42260 W Rancho El Dorado Parkway. STEAM Day is at 9 a.m. at Maricopa High School, 45012 W. Honeycutt Ave.
Movies Under the Stars debuts a new season at 7 p.m. at Copper Sky Regional Park, 44345 Martin Luther King Jr Blvd. 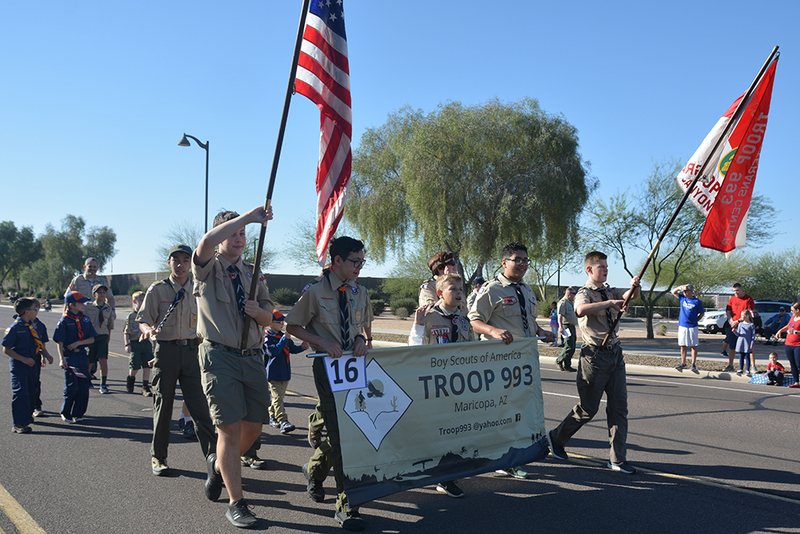 A golfing fundraiser for a charter school, a band event and a community game night are all part of this week’s activities in Maricopa. Below, Denyse Airheart, Economic Development director for the city, invites residents to an Economic Development Summit on Thursday. 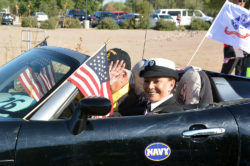 For details on these events, or to add your own, visit InMaricopa.com/Calendar. CAC Culinary Tasting Dinner is at 6 p.m. at Central Arizona College – Maricopa Campus, 17945 N. Regent Drive. Seniors play Farkel at 9 p.m. at Santa Cruz Elementary School, 19845 N. Costa del Sol Blvd. 2018 Economic Summit is at 5 p.m. at Maricopa City Hall, 39700 W. Civic Center Plaza. Big Drive for Education Golf Scramble is at 7:30 a.m. at The Duke Golf Course at Rancho El Dorado, 42260 W Rancho El Dorado Parkway. 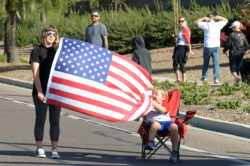 Hot Shots Memorial Hike leaves at 8 a.m. from Copper Sky Multigenerational Center, 44345 W. Martin Luther King Jr. Blvd. Mattress Fundraising Event is at 9 a.m. at Maricopa High School, 45012 W. Honeycutt Ave.
Special meetings regarding the hiring of a city manager and a school superintendent are on this week’s list of activities in Maricopa. Below, Britney Montgomery of the MHS Theatre Company invites the community to four performances of the musical “The Baker’s Wife.” For details on these events, or to add your own, visit InMaricopa.com/Calendar. 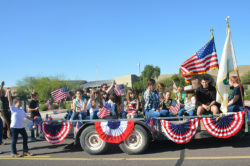 MUSD Governing Board Special Meeting is at 6 p.m. at Maricopa Unified School District, 44150 W. Maricopa-Casa Grande Hwy. 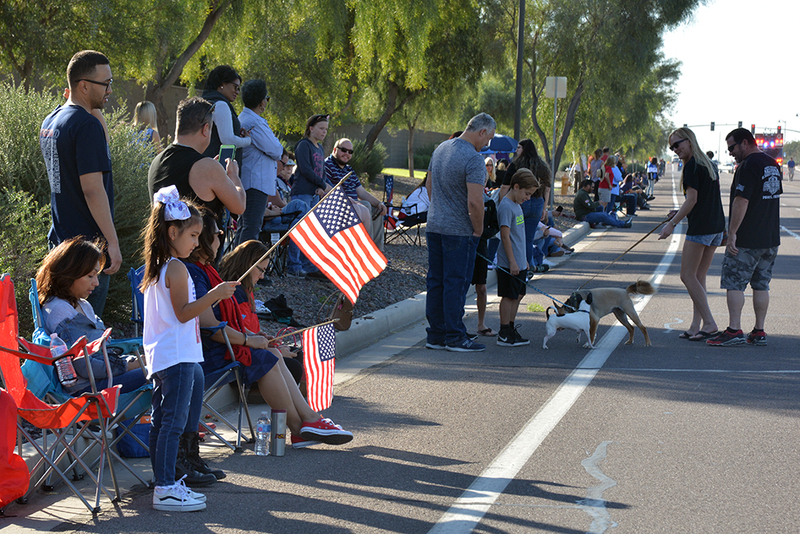 Community Meet-and-Greet with city manager candidates is at 5:30 p.m. at Maricopa City Hall, 39700 W. Civic Center Plaza. Blue Star Mothers of Maricopa,AZ#7 Monthly Meeting is at 6:30 p.m. at Maricopa Veterans Center, 44240 W. Maricopa-Casa Grande Hwy. 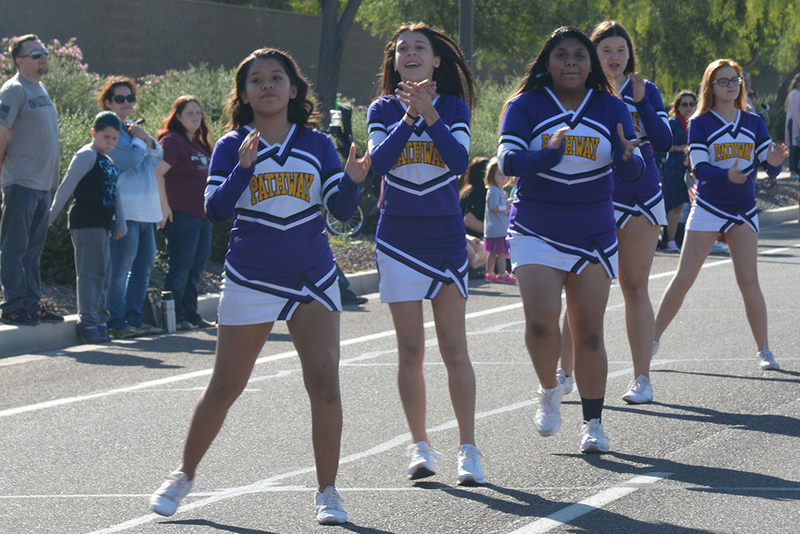 Gifted Parent Night is at 5:30 p.m. at Maricopa Unified School District, 44150 W. Maricopa-Casa Grande Hwy. 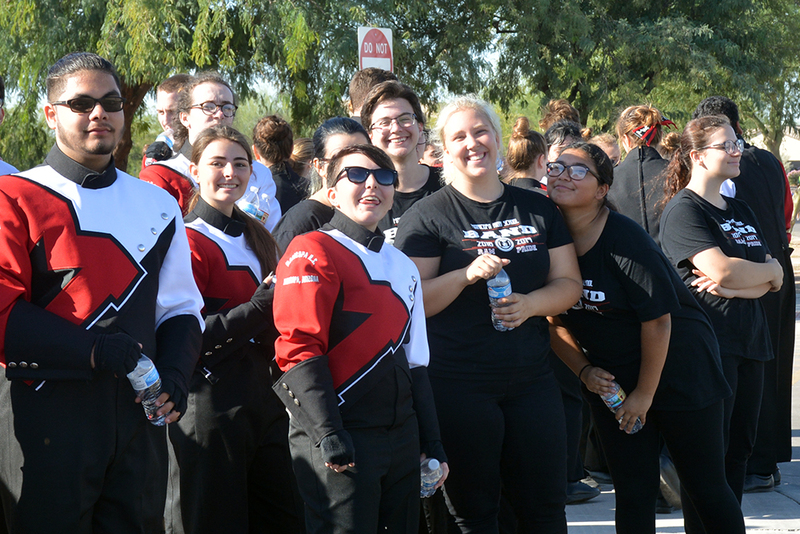 MHS Musical “The Baker’s Wife” is at 7 p.m. at Maricopa Performing Arts Center, 45012 W. Honeycutt Ave.
Prom Boutique Shopping Event is at 3 p.m. at Maricopa High School, 45012 W. Honeycutt Ave.
Family Camping in the Park is overnight starting at 4 p.m. at Copper Sky Regional Park, 55345 W. Martin Luther King Jr. Blvd. MHS Musical “The Baker’s Wife” is at 2 p.m. and 7 p.m. at Maricopa Performing Arts Center, 45012 W. Honeycutt Ave.
Maricopa’s activities this week include the 2nd Saturday Maricopa Market, a Kindergarten Roundup and important meetings. 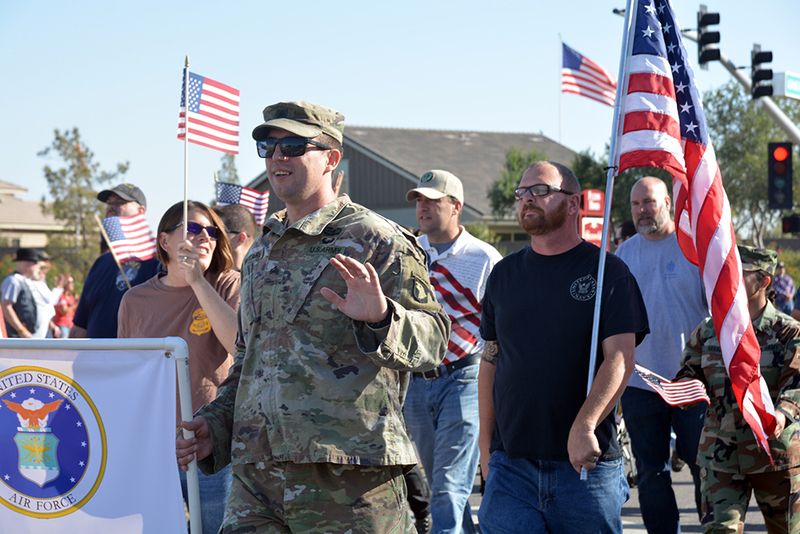 Below, Jason Crow of Harrah’s Ak-Chin Casino invites the community to watch the annual 5K Poker Run on Saturday and see the continuing progress of the casino/hotel expansion project. For details on these events or to add your own, see InMaricopa.com/calendar. Lions Club Meeting is at 5 p.m. at Copper Sky Police Substation, 17985 N. Greythorne Drive. 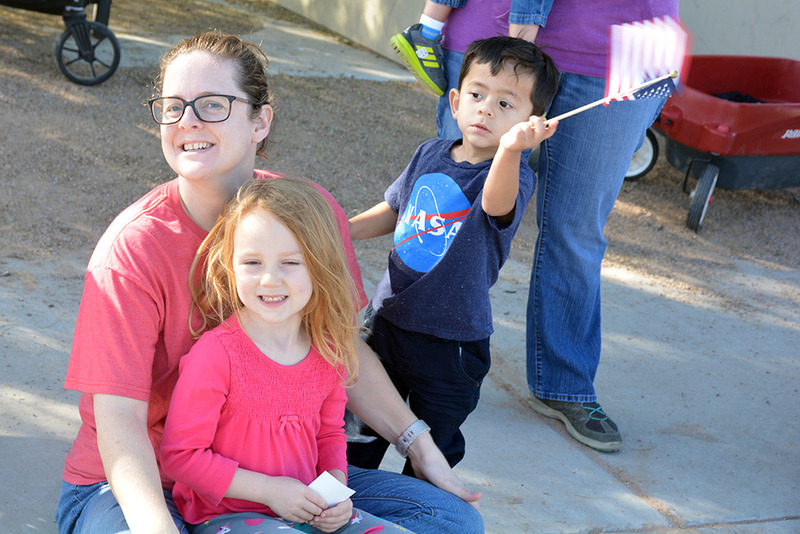 Kindergarten Roundup is at 5:30 p.m. elementary schools of Maricopa Unified School District. 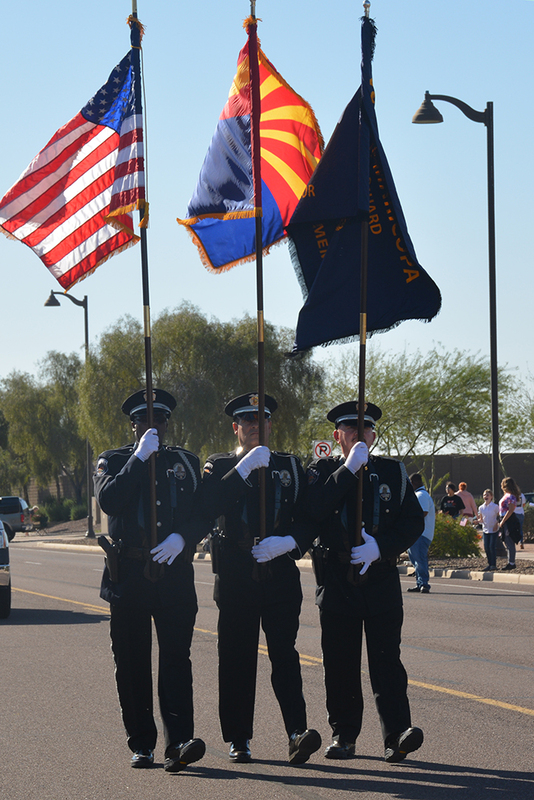 Maricopa Police Explorer Post Meeting is at 7 p.m. at Maricopa High School, 45012 W. Honeycutt Ave.
5K Poker Run is at 8:30 a.m. at Harrah’s Ak-Chin Casino, 15406 Maricopa Road. 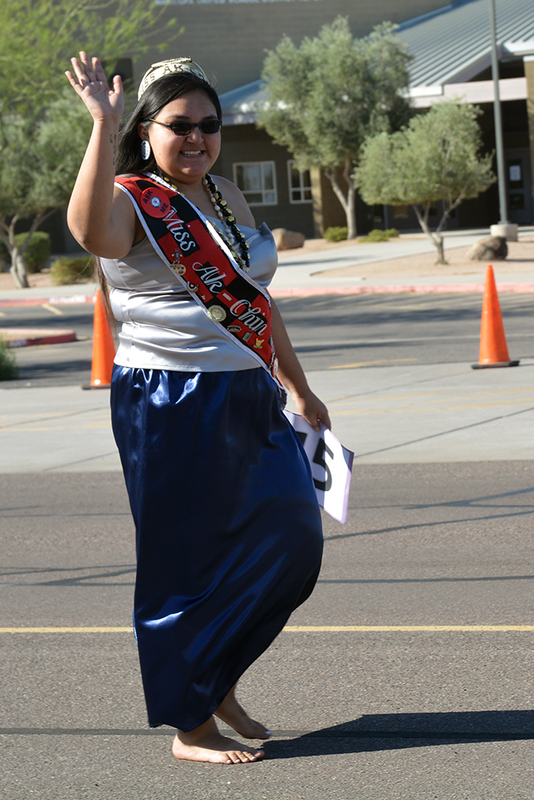 Sequoia Pathway Prom Night is at 6 p.m. at The Duke at Rancho El Dorado, 42660 W Rancho El Dorado. 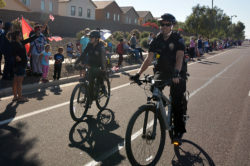 MPD is planning a bike rodeo at Maricopa Public Library. 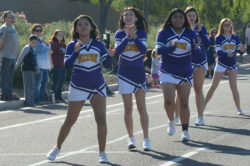 Easter-related activities, a chance to meet school superintendent candidates and a spring concert are among many events this week. Below, Maricopa Police Sgt. Hal Koozer invites all kids to a bike rodeo at the library. 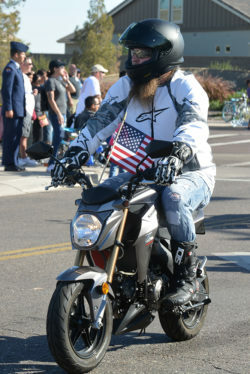 For details on these and other events, or to add your own, visit InMaricopa.com/Calendar. Antelope Canyon & Rainbow Bridge overnight trip leave at 8 a.m. from Copper Sky Multigenerational Center, 44345 W. Martin Luther King Jr. Blvd. 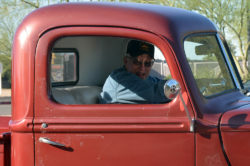 Writer’s Symposium is at 5:30 p.m. at Maricopa Public Library, 41600 W. Smith-Enke Road. 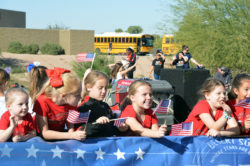 MUSD Superintendent Candidate Forum is at 7 p.m. at Maricopa Unified School District, 44150 W. Maricopa-Casa Grande Hwy. Harrah’s Club 777 Toastmasters meets at 3 p.m. at Harrah’s Ak-Chin Casino, 15406 Maricopa Road. 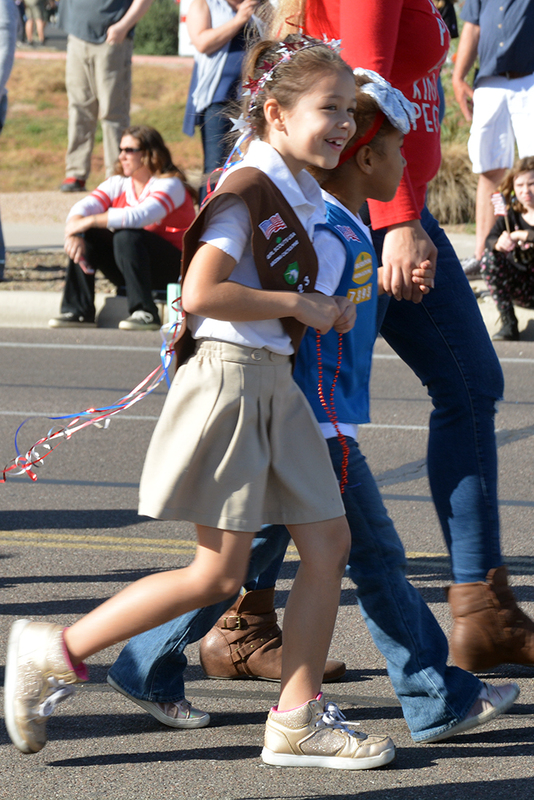 AWANA meet at 6:30 p.m. at First Baptist Church of Maricopa, 18705 N. John Wayne Parkway. 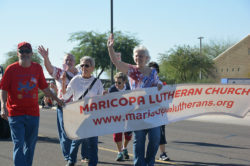 Good Friday Service is at 7 a.m. at Maricopa Community Church, 44977 W. Hathaway Ave.
Arizona Storage Company 10th Anniversary Party is at 9 a.m. at 40675 W. Honeycutt Road. 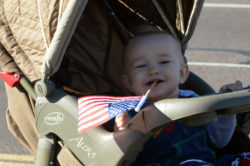 Maricopa Easter Egg Hunt is at 10 a.m. at UltraStar Multi-tainment Center, 16000 N. Maricopa Road. 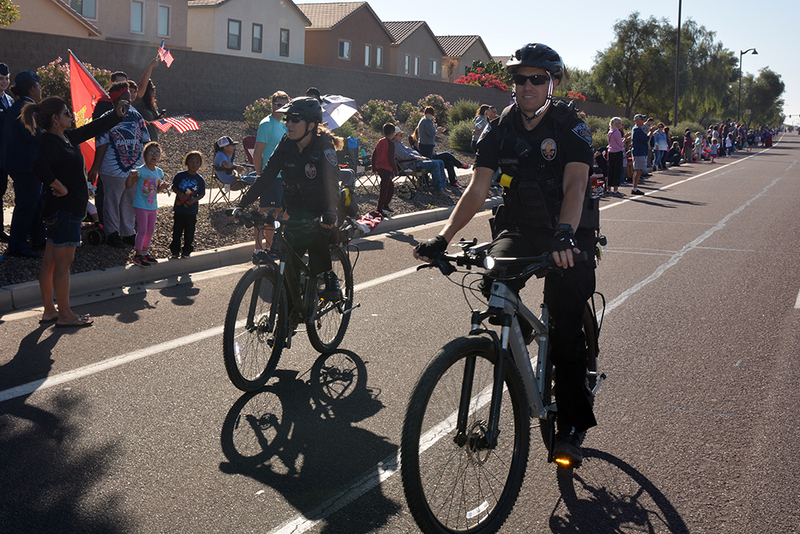 Bike Rodeo is at 10 a.m. at Maricopa Public Library, 41600 W. Smith-Enke Road. 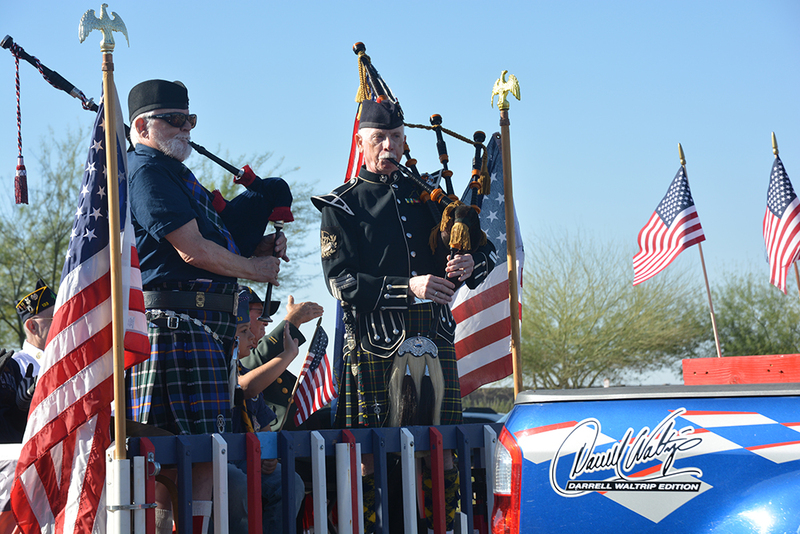 Rhythms & Tunes Across the Globe concert by Maricopa Music Circle and Desert Sun Performing Arts is at 7 p.m. at Maricopa Agricultural Center, 37860 W. Smith-Enke Road. Easter Community Sunrise Service is at 6:30 a.m. at Copper Sky Regional Park, 55345 W. Martin Luther King Jr. Blvd. A typical week of activities ends with a very busy weekend, including Salsa Fest, an Easter egg hunt and the library’s popular used book sale. 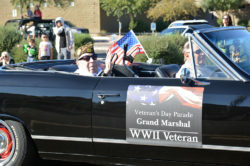 For details on these and other events listed below, or to add your own, visit InMaricopa.com/Calendar. 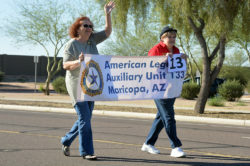 Age-Friendly Maricopa Advisory Council meets at 4 p.m. at City Hall, 39700 W. Civic Center Plaza. 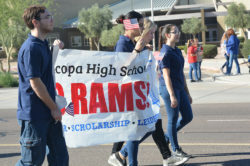 Scholarship Information Night is at 5 p.m. at Maricopa Public Library, 41600 W. Smith-Enke Road. City Council Work Session is at 6 p.m. at City Hall, 39700 W. Civic Center Plaza. City Council Regular Session is at 7 p.m. at City Hall, 39700 W. Civic Center Plaza. 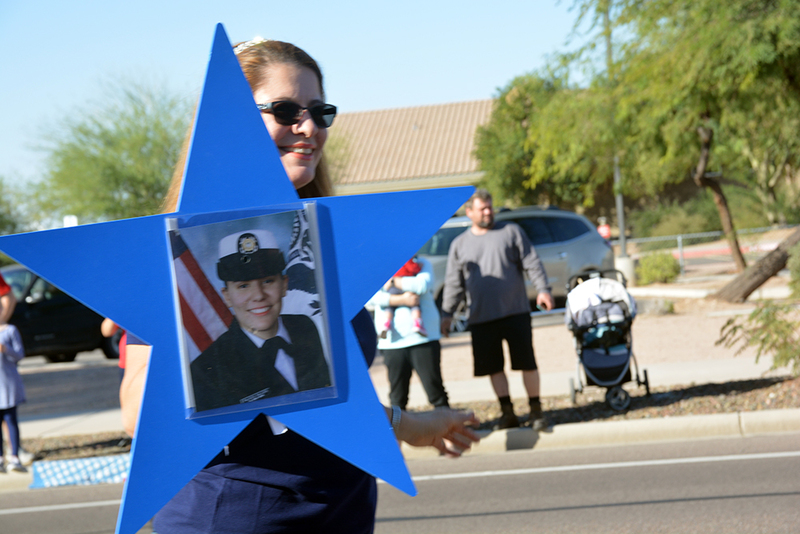 Blue Star Mothers of Maricopa,AZ monthly meeting is at 6:30 p.m. at Maricopa Center for Entrepreneurship, 20800 John Wayne Parkway, Suite 108. 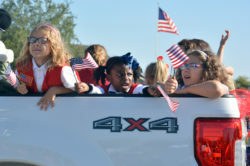 Leading Edge Academy Kindergarten Round-Up is at 6:30 p.m. at Leading Edge Academy Maricopa, 18700 North Porter Road. 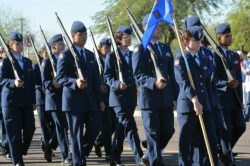 Leading Edge Academy Middle School Orientation is at 7 p.m. at Leading Edge Academy Maricopa, 18700 North Porter Road. 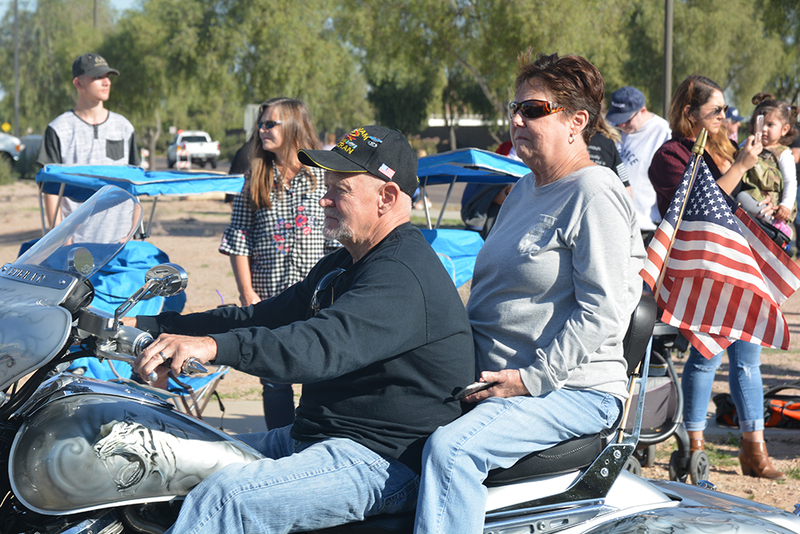 AZGF Outdoor Expo excursion leaves at 8 a.m. from Copper Sky Multigenerational Center, 44345 W. Martin Luther King Jr. Blvd. Library Used Book Sale is at 9 a.m. at Maricopa Public Library, 41600 W. Smith-Enke Road. Tortosa’s 10th Annual Easter Eggstravaganza is at 10 a.m. at Santa Cruz Elementary School, 19845 N. Costa del Sol Blvd. Salsa Festival is at 2 p.m. at Copper Sky Regional Park, 44345 W. Martin Luther King Jr. Blvd.